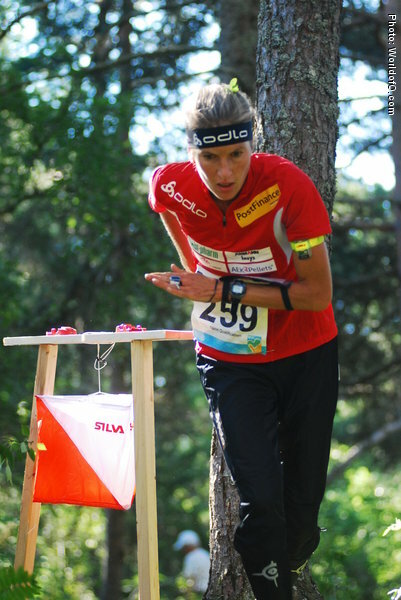 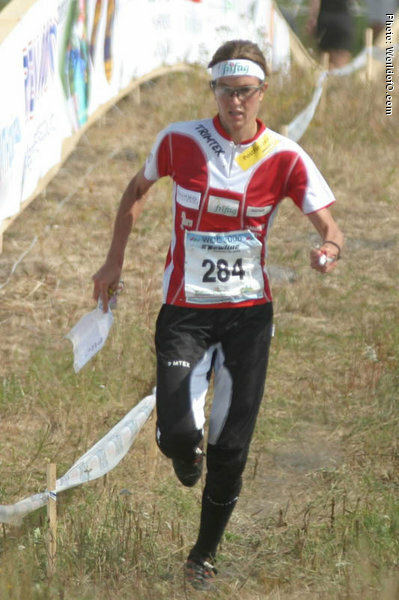 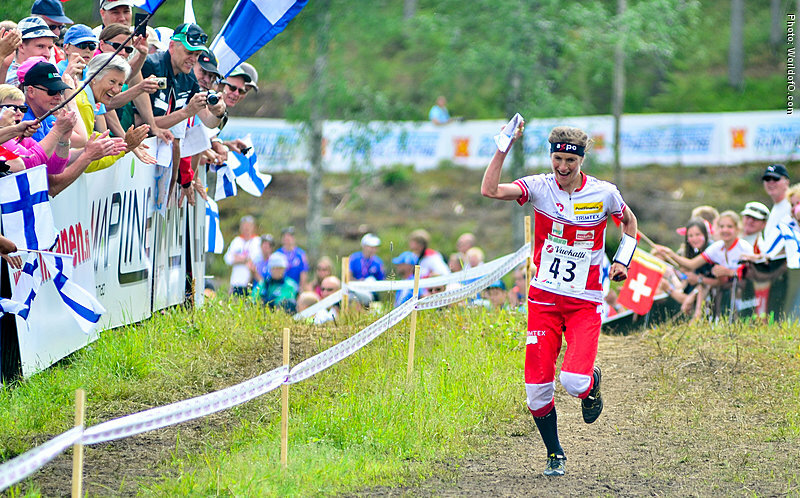 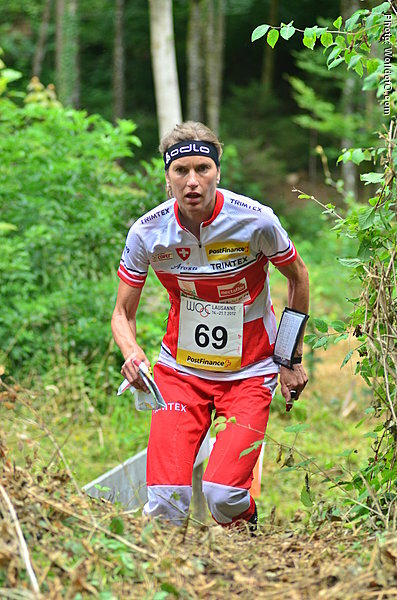 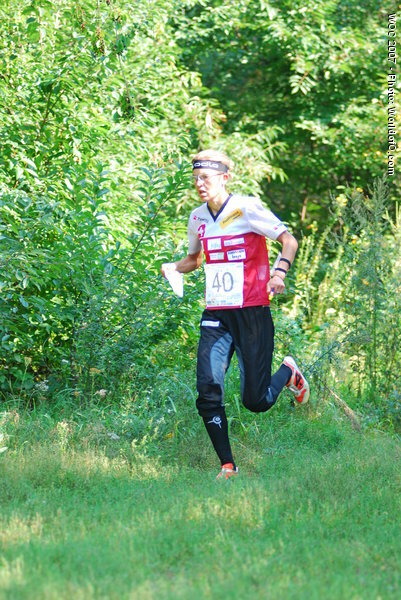 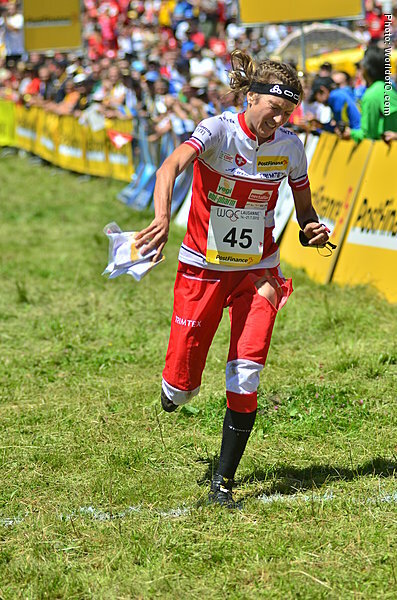 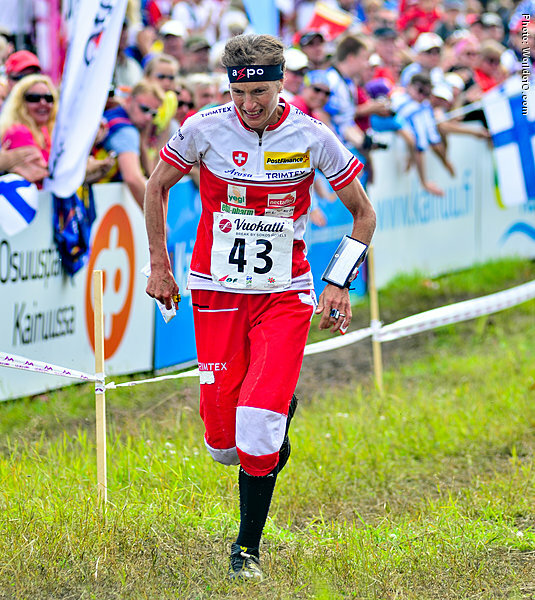 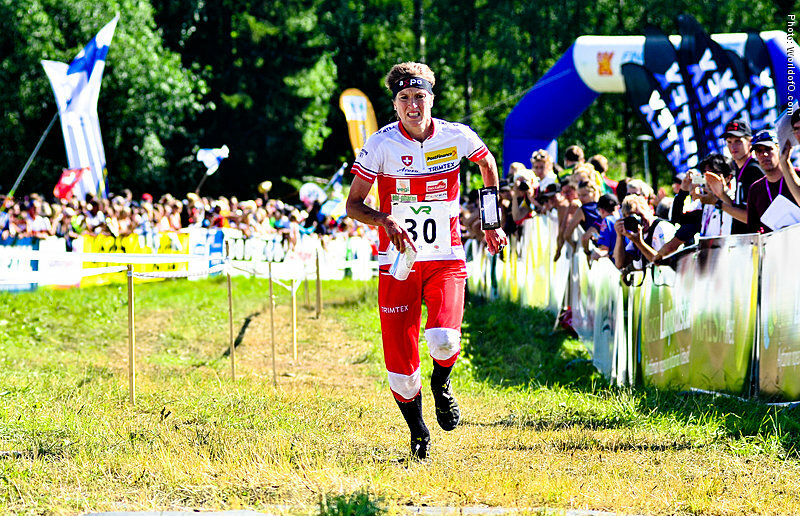 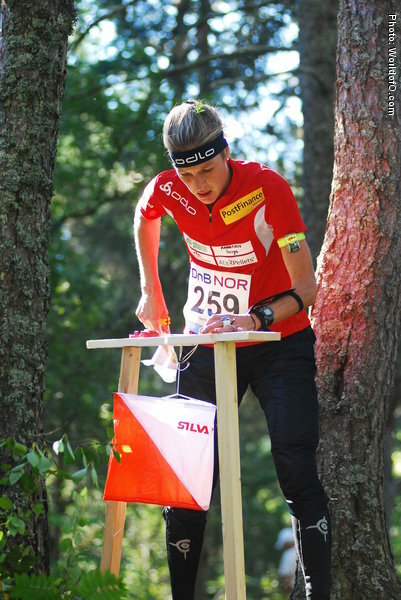 The biggest star in the sport of orienteering, ever. 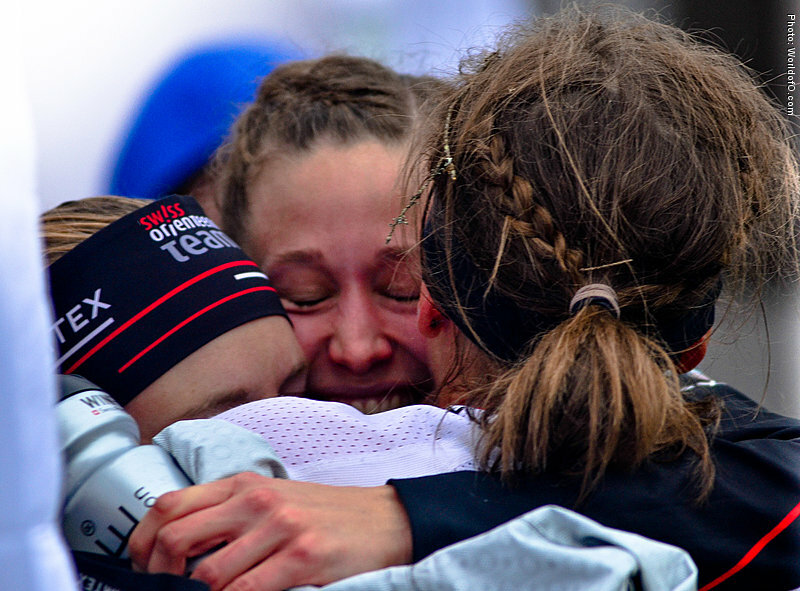 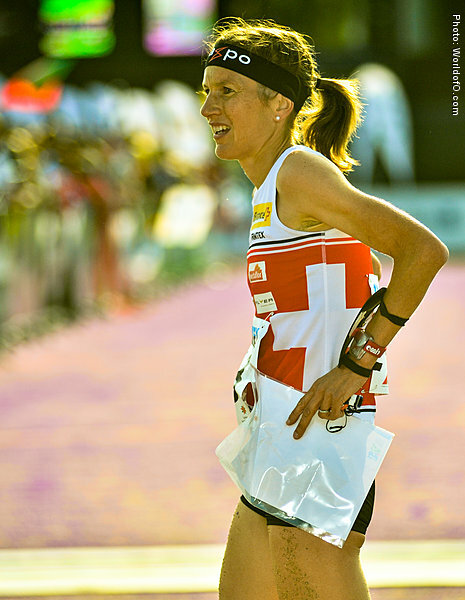 Retired from the national team after the 2013 season, but has continued to run international races on top level. 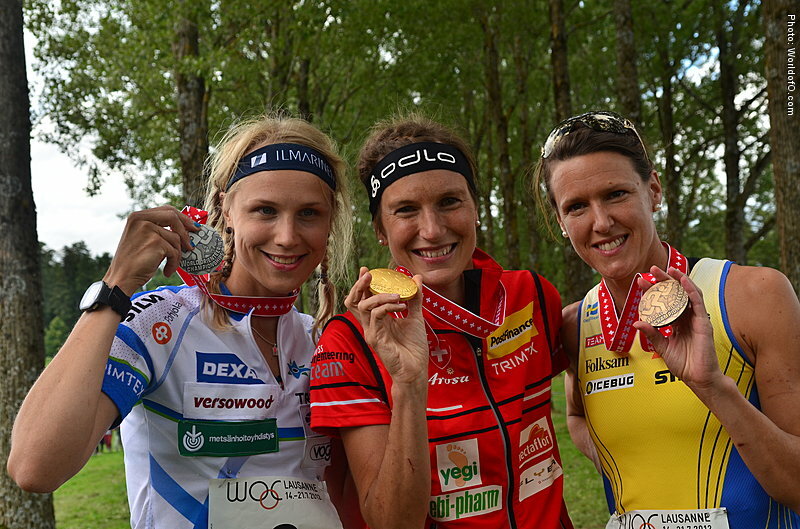 With more WOC-golds than you can count(!) 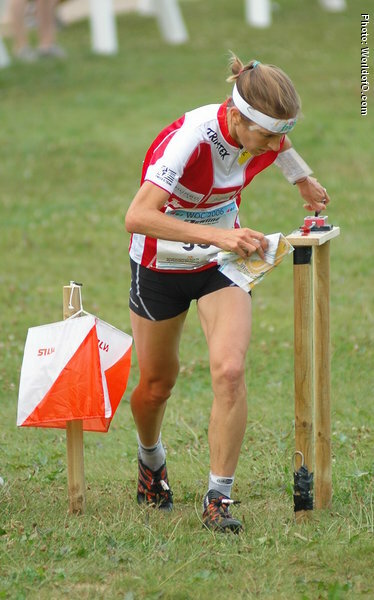 she is leading all the statistics. 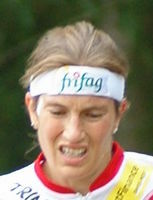 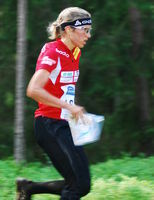 Twice has she won all the four golds at a WOC (2003 and 2005). 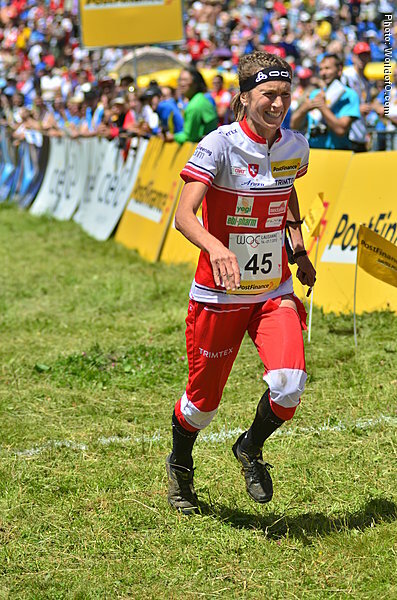 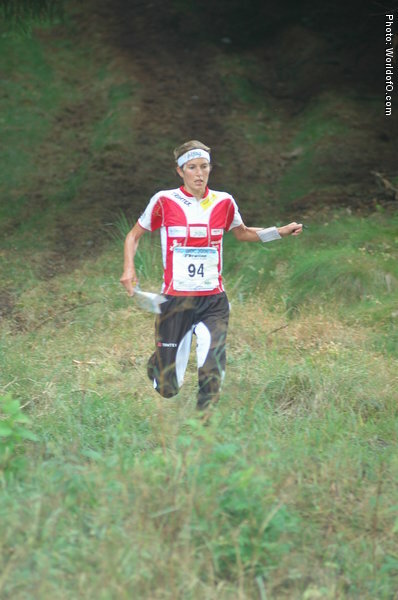 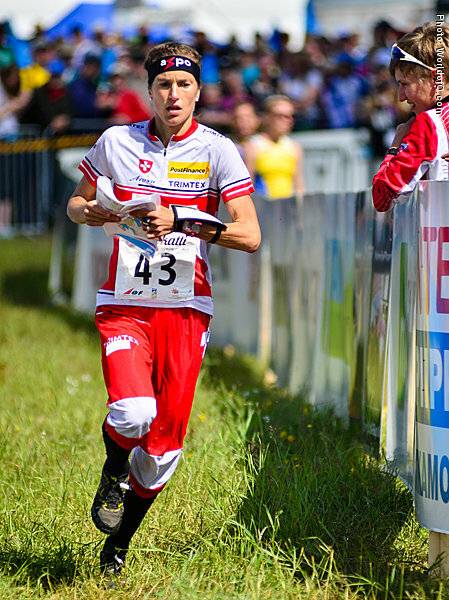 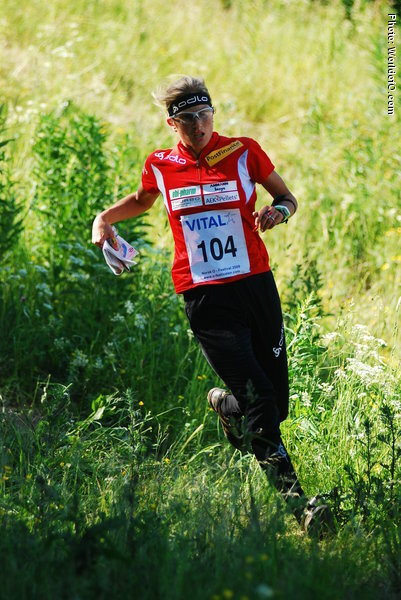 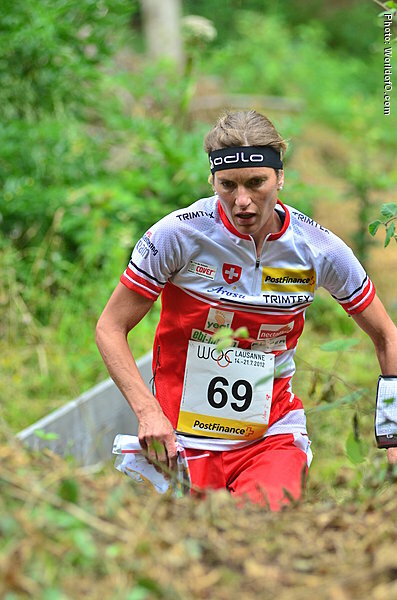 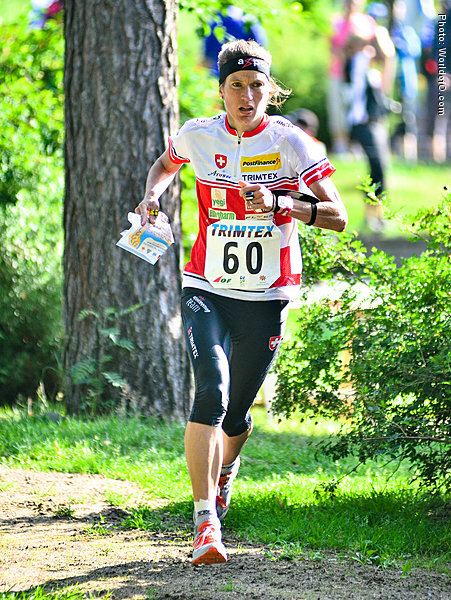 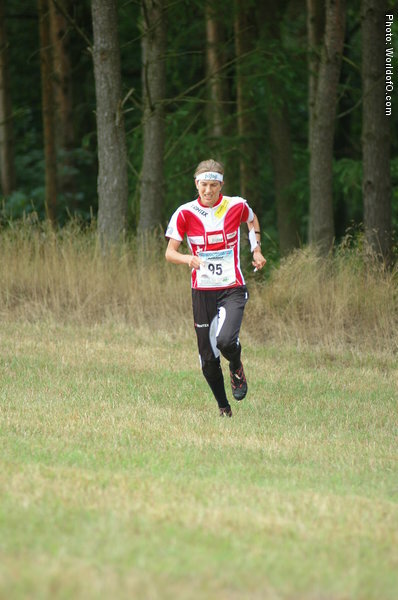 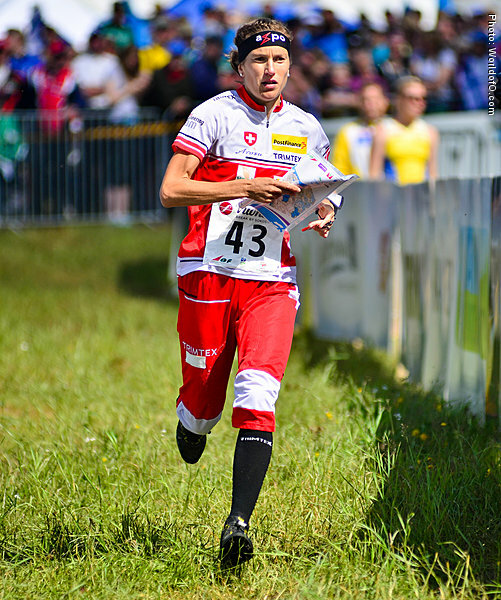 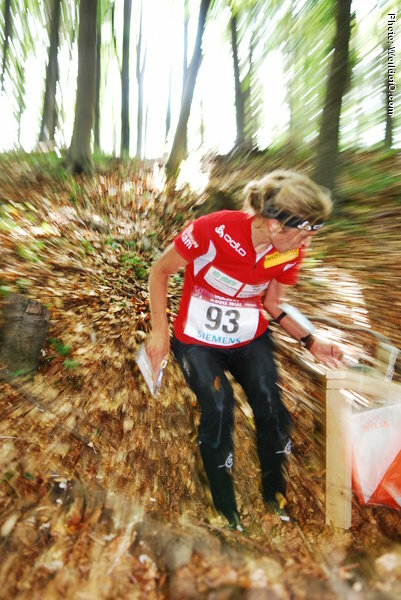 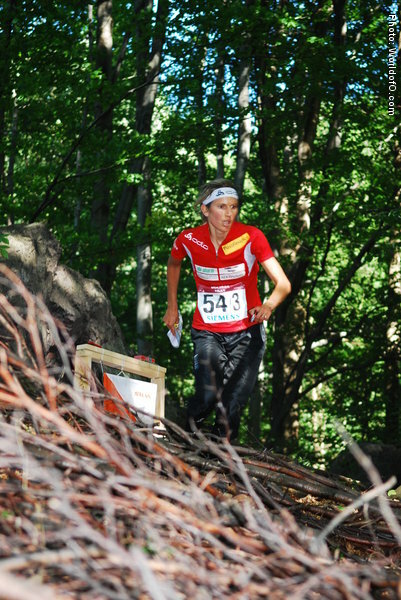 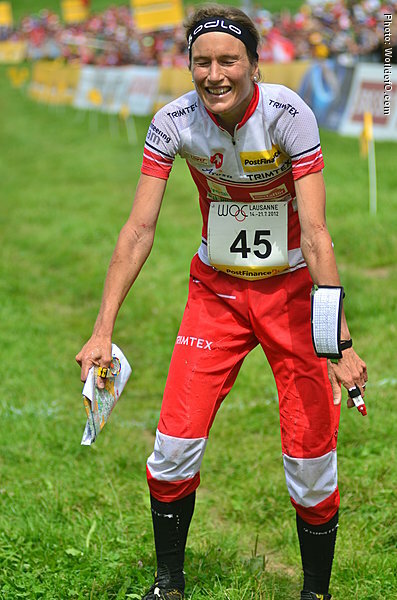 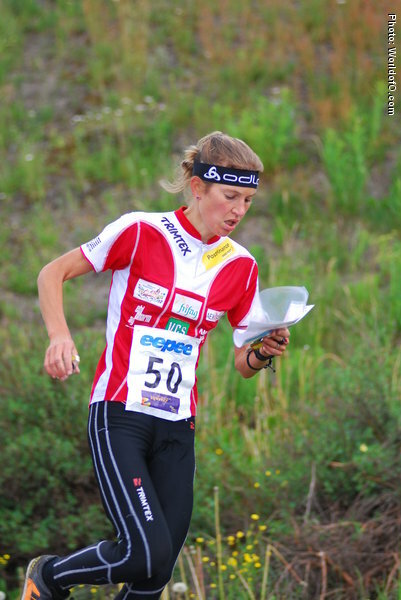 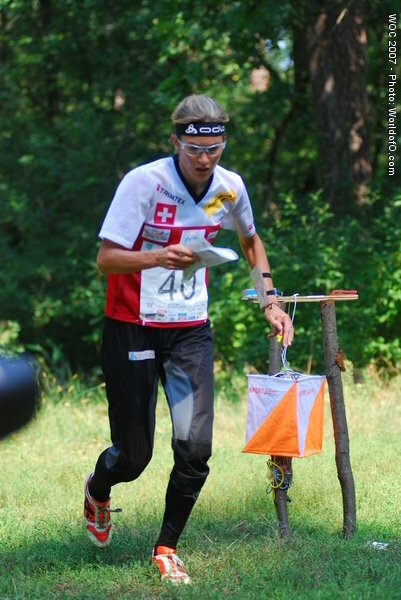 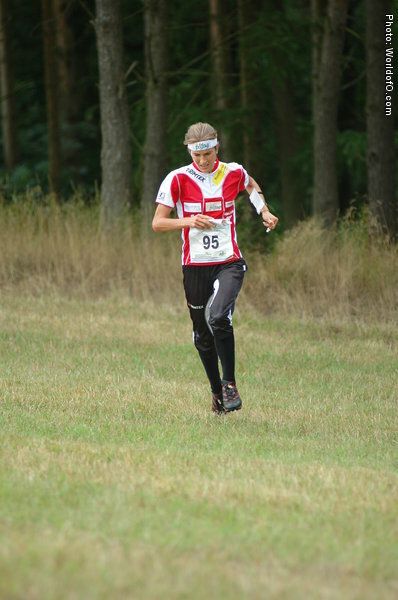 Educated in biology - she has lived as a professional orienteer for years. 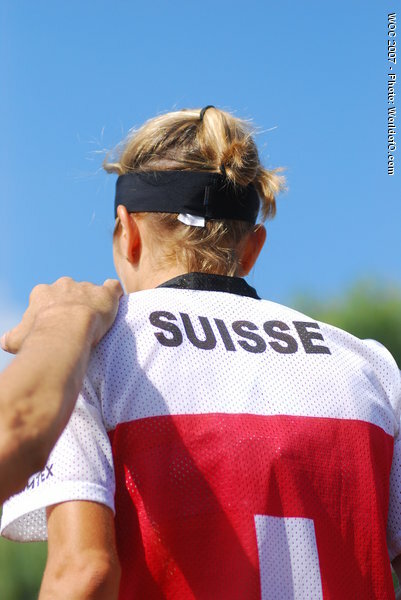 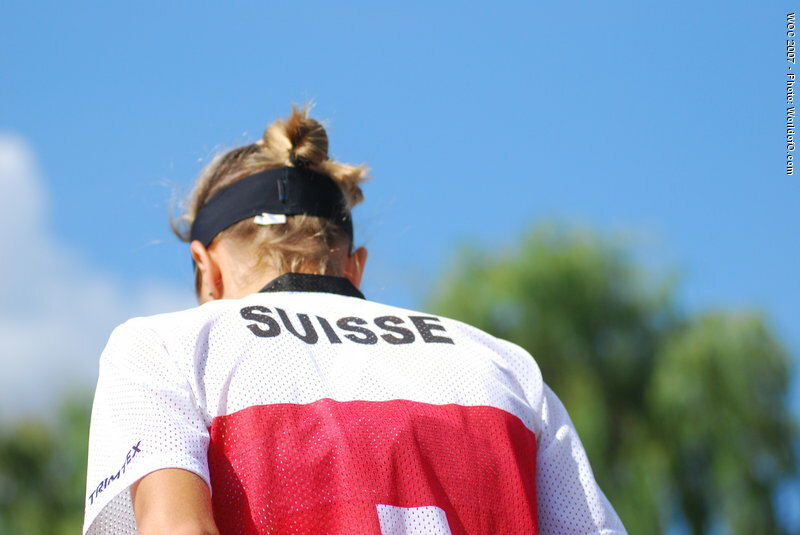 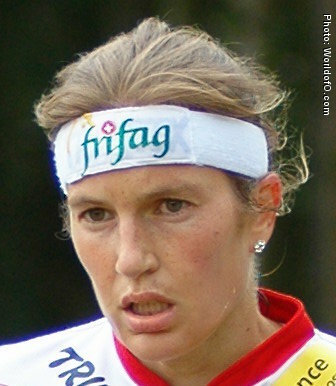 Her maiden name is Luder, and she is married to Matthias Niggli, who is now manager of the Swiss o-team. 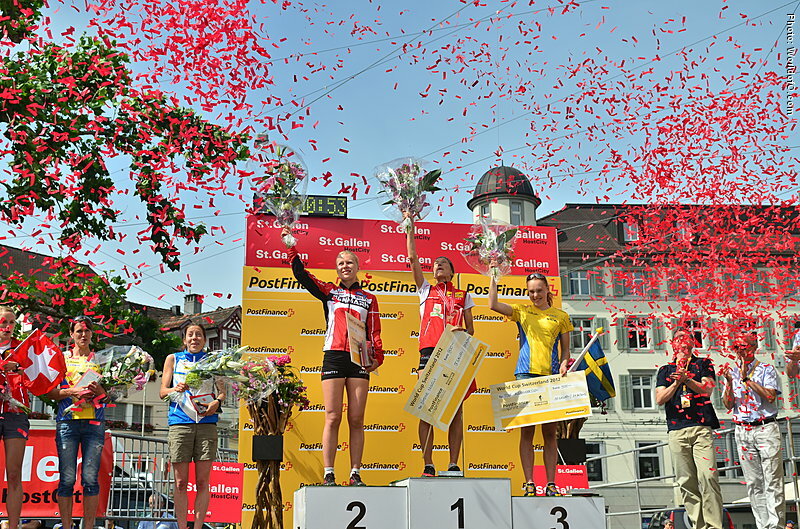 Simone is living most of the year in Switzerland, but stays in Sweden for some months in spring. 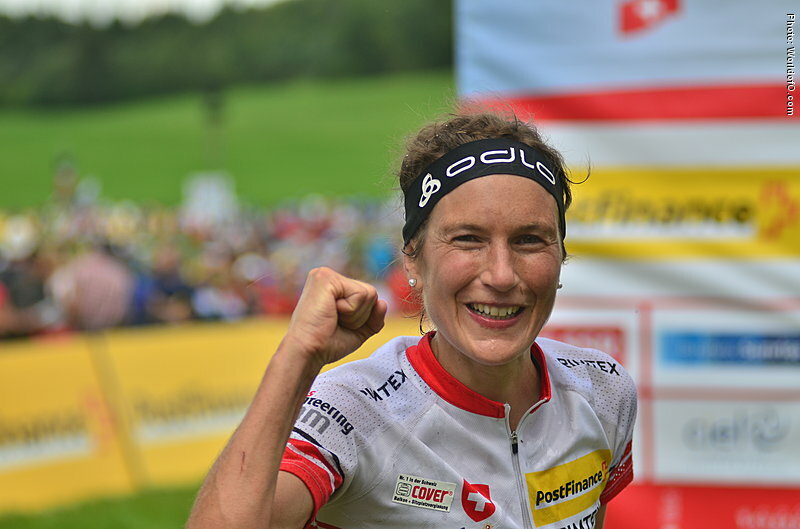 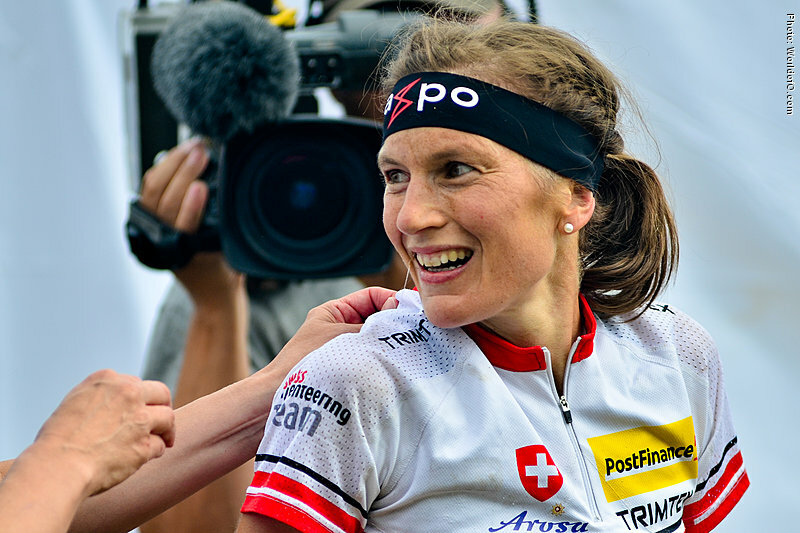 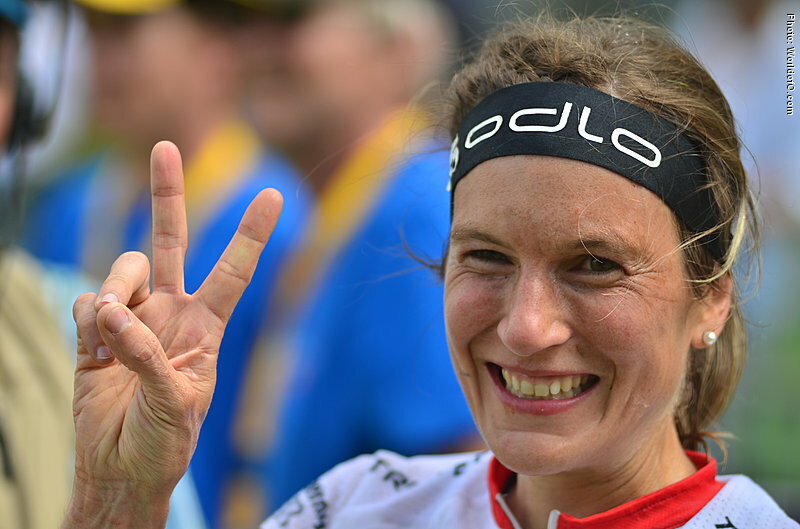 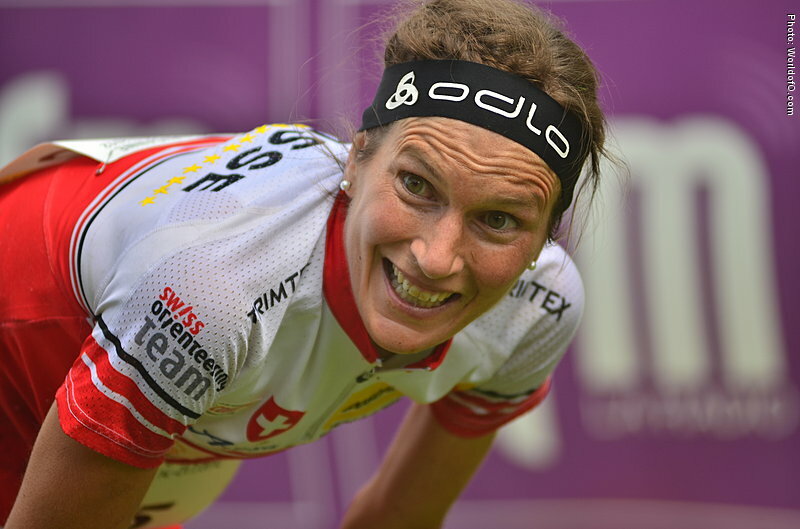 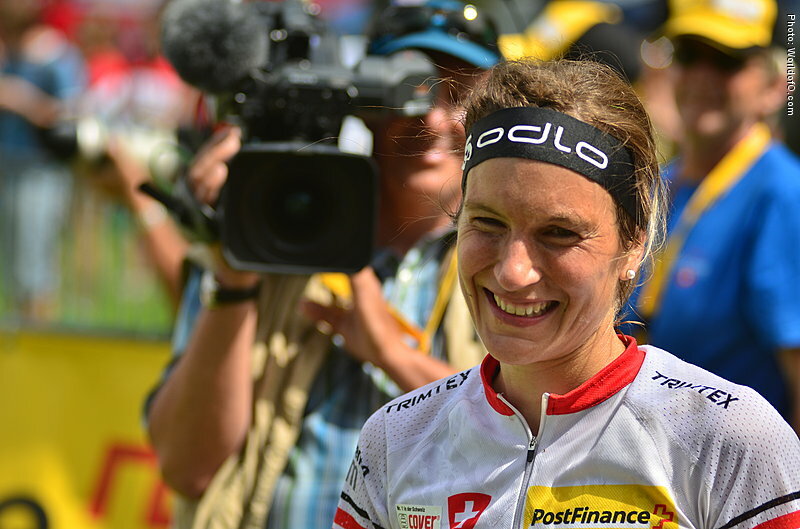 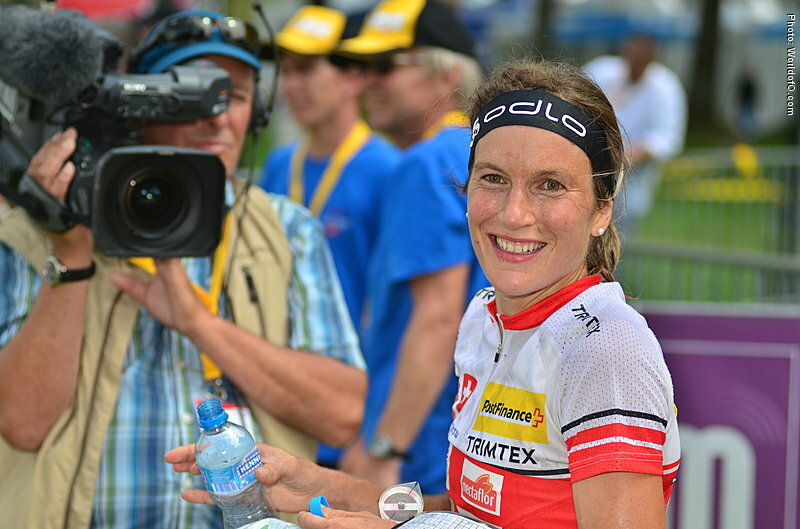 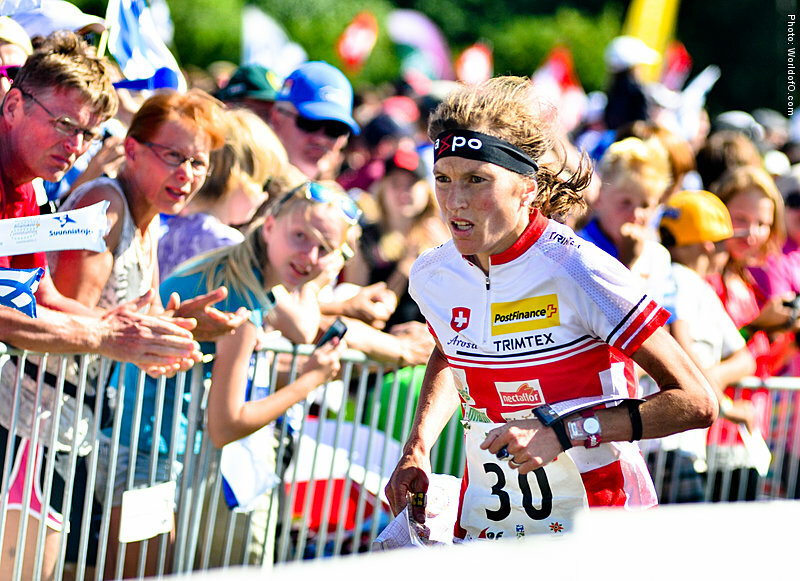 Has been named "Sportswoman of the year" in Switzerland several times. 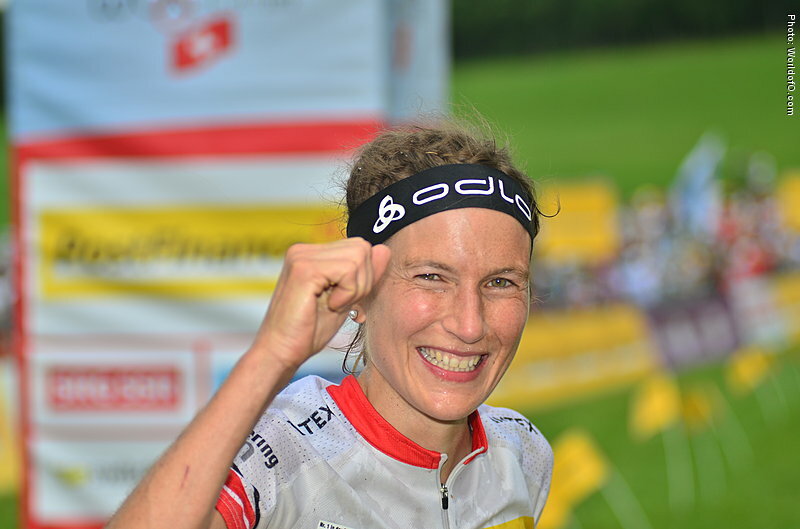 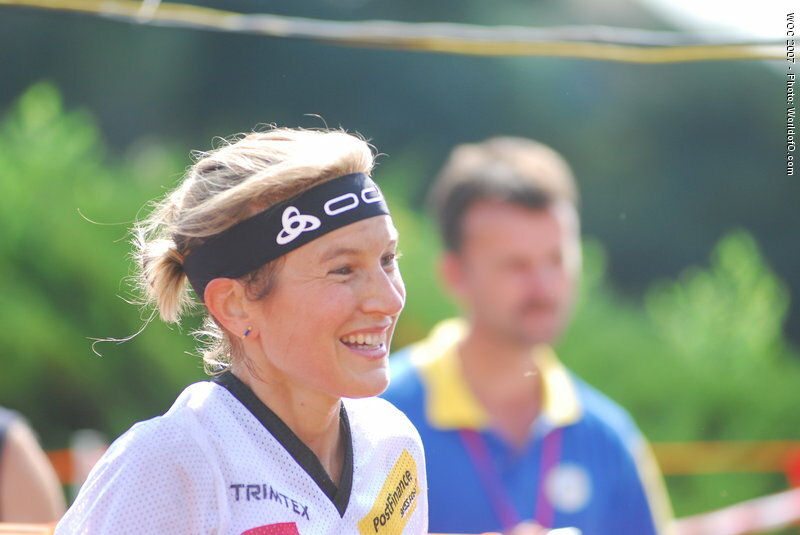 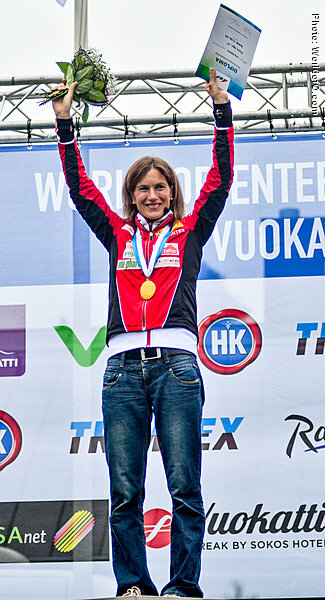 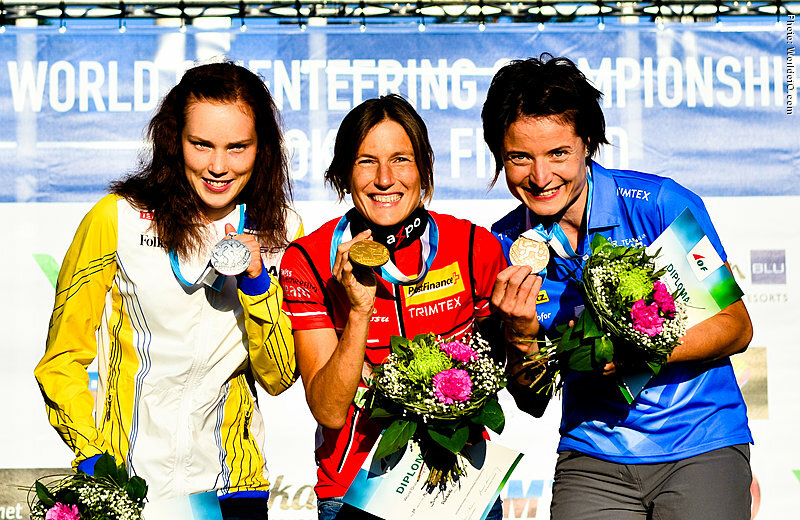 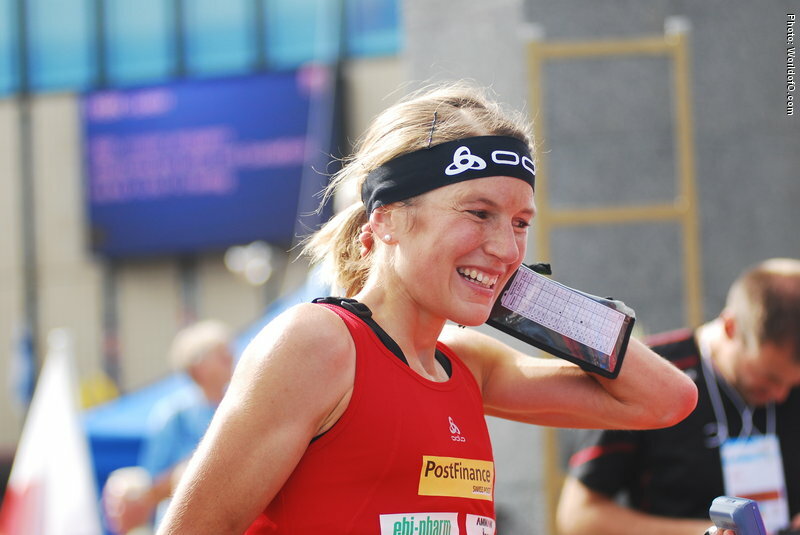 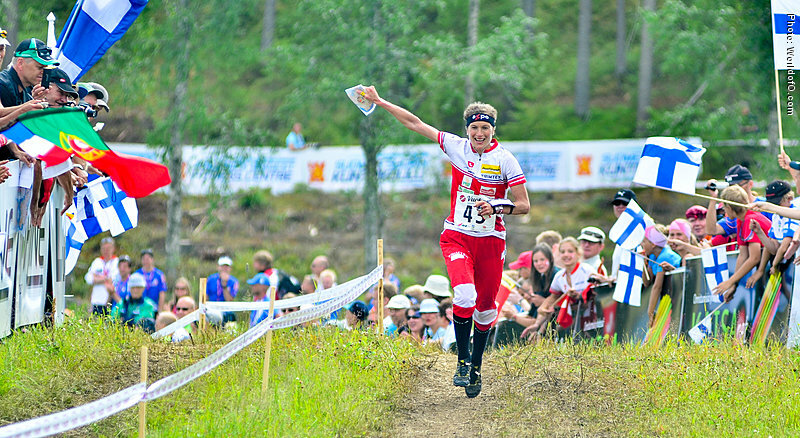 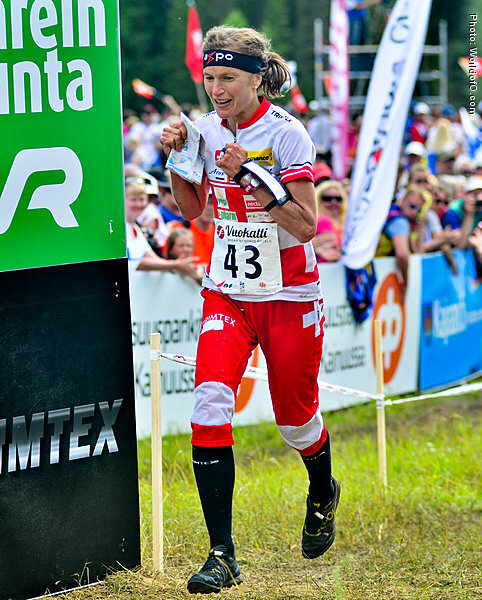 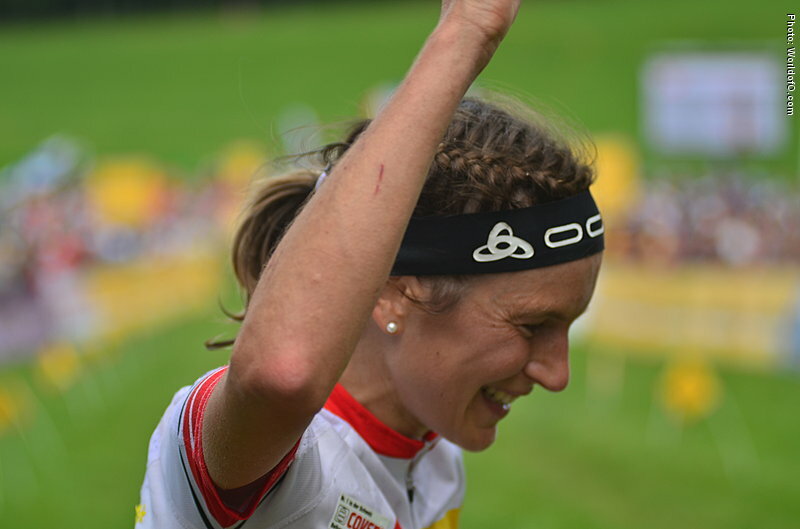 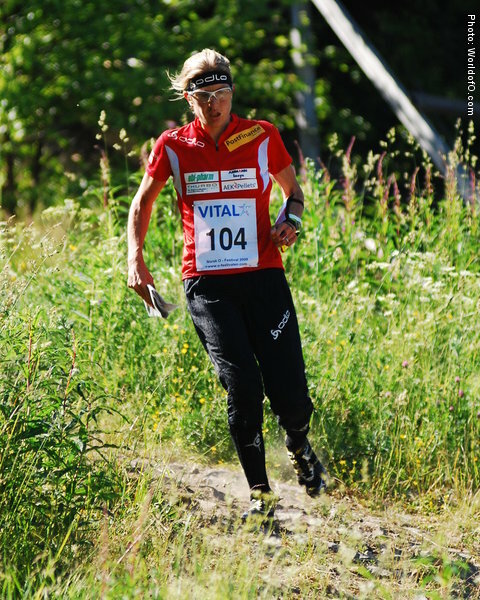 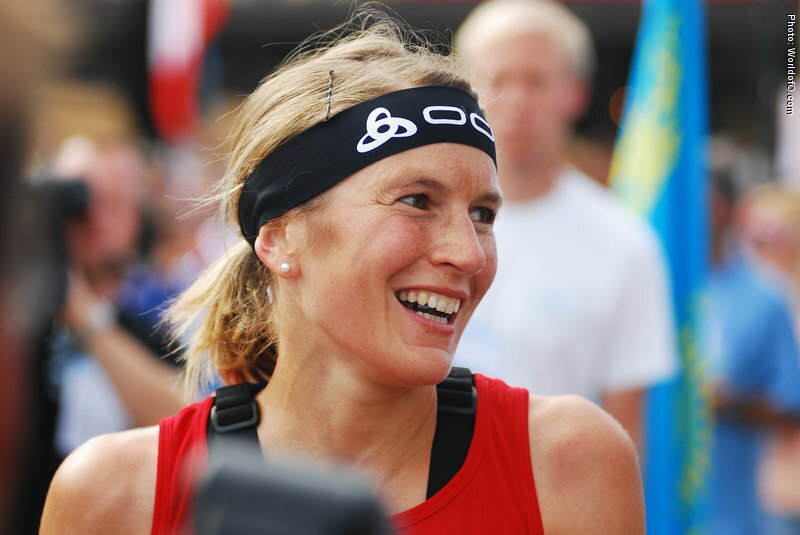 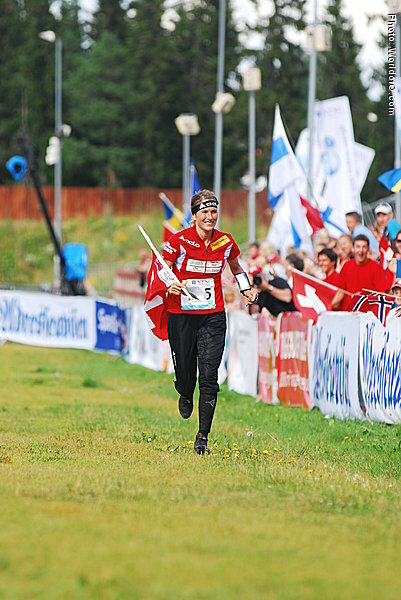 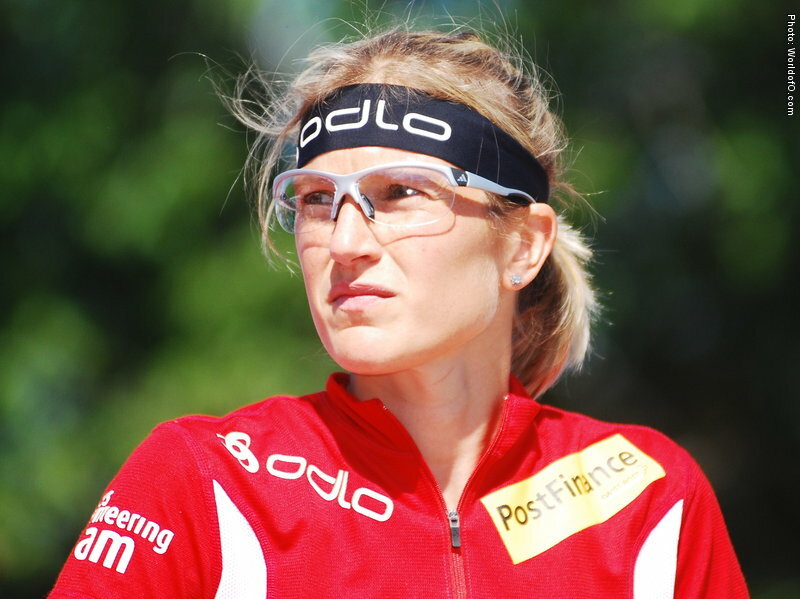 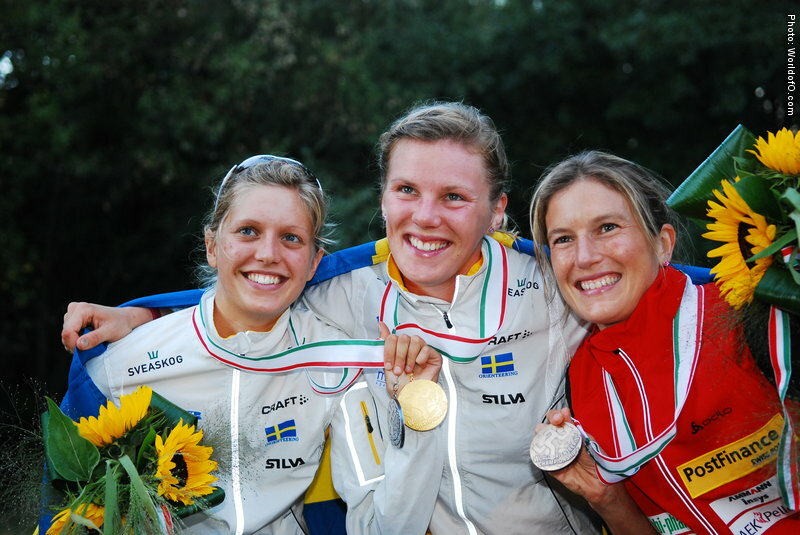 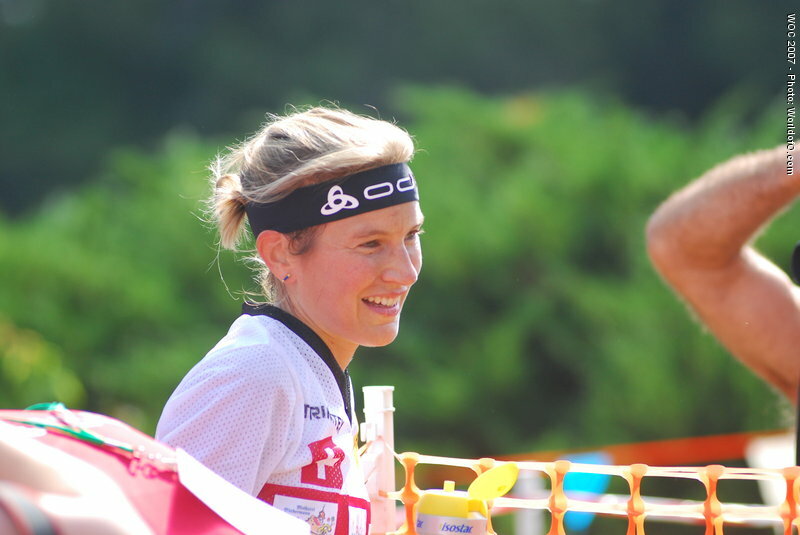 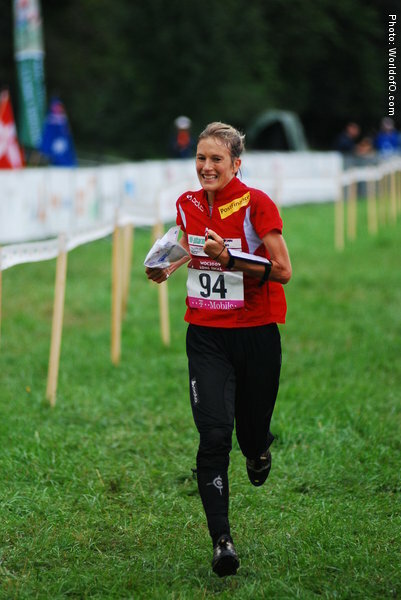 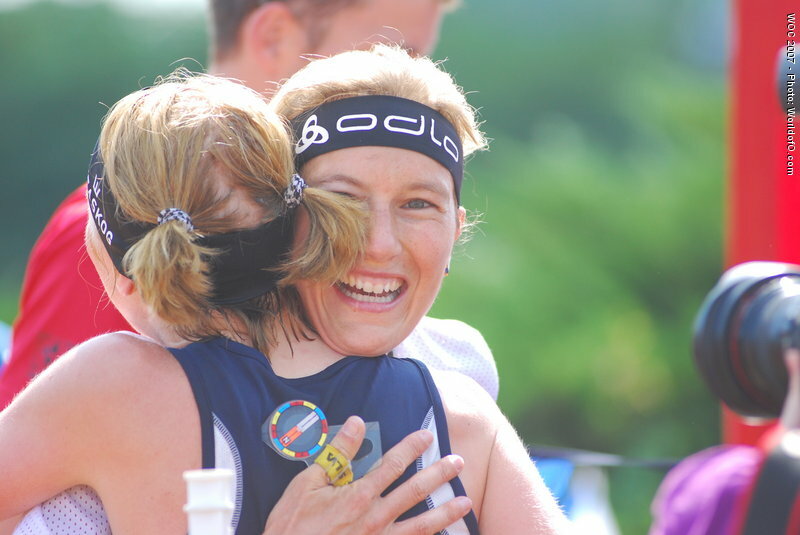 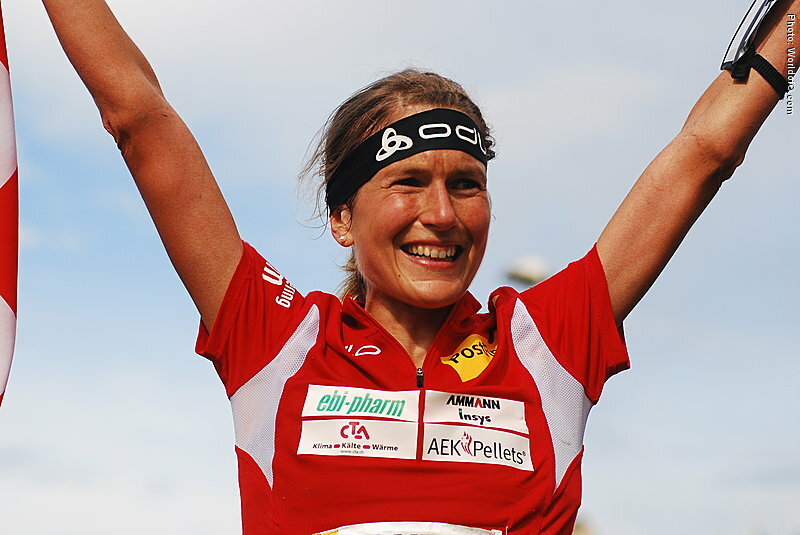 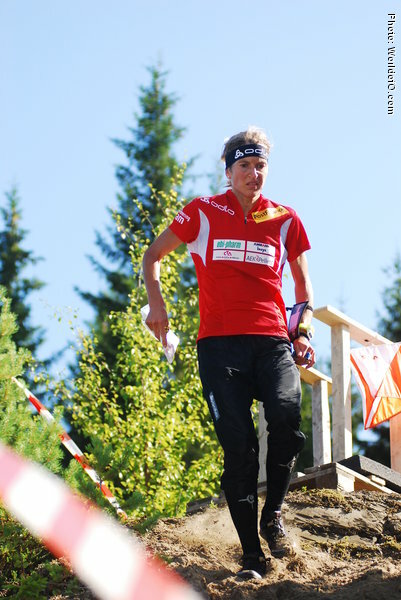 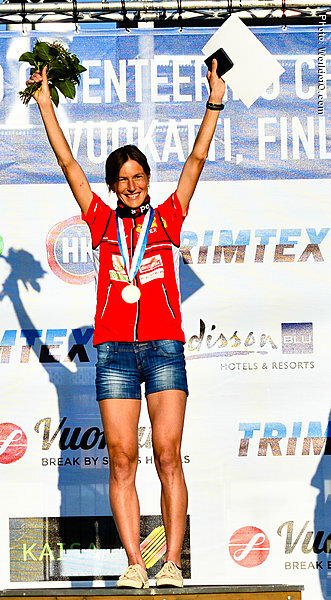 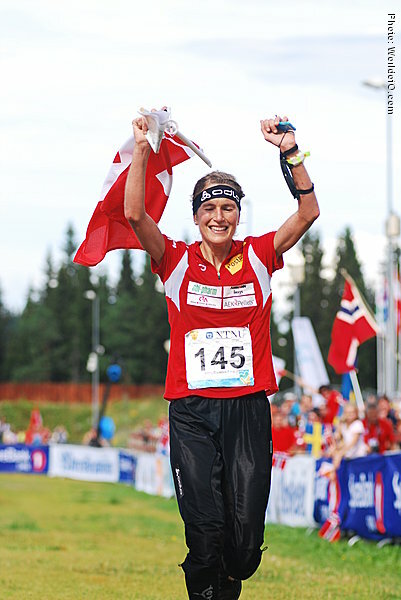 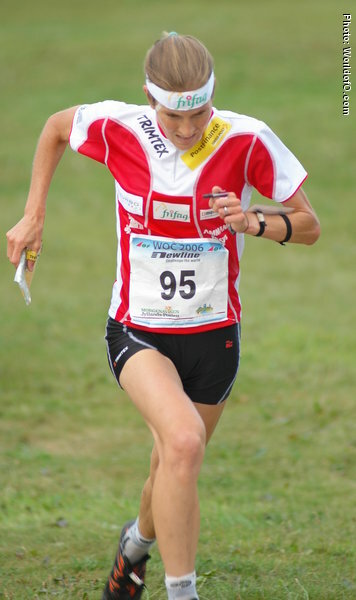 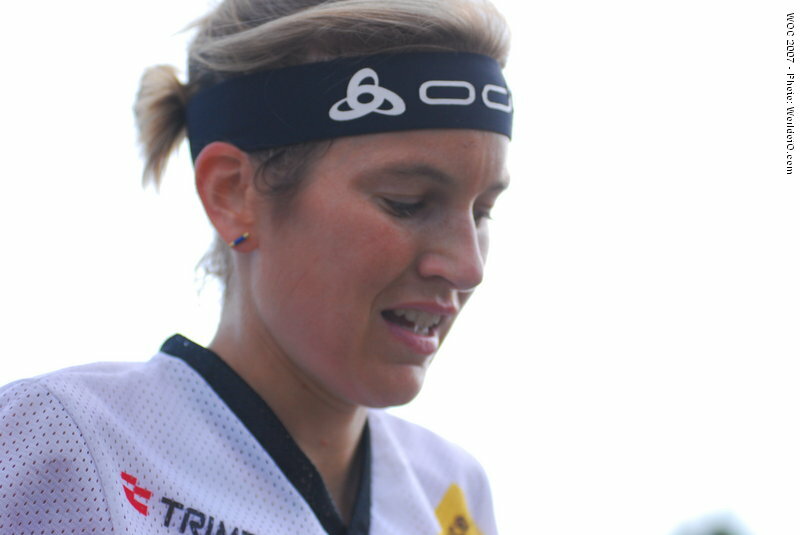 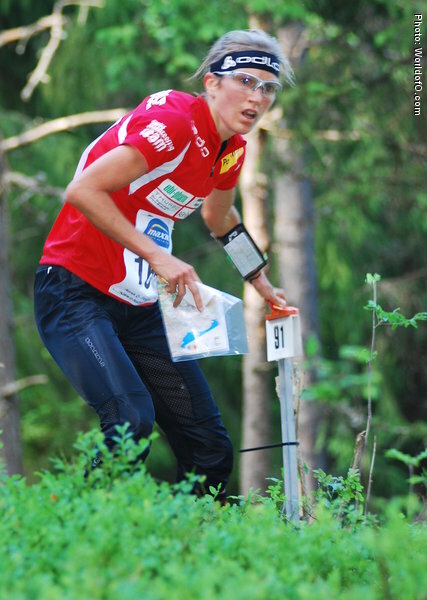 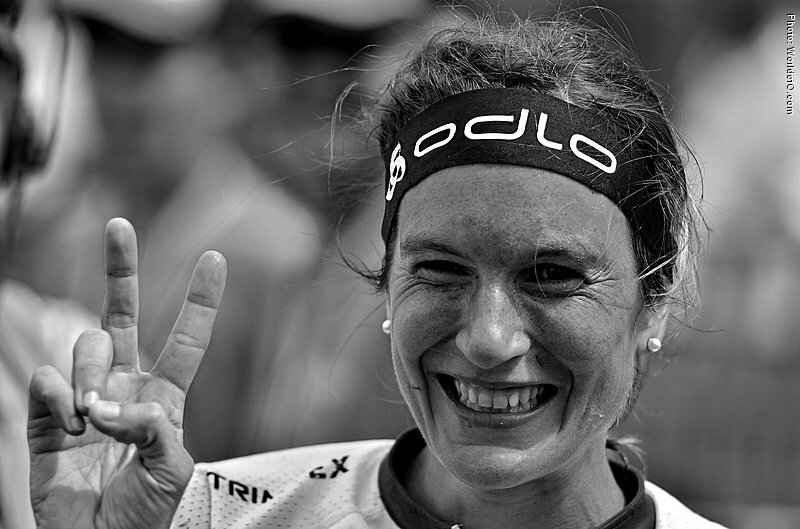 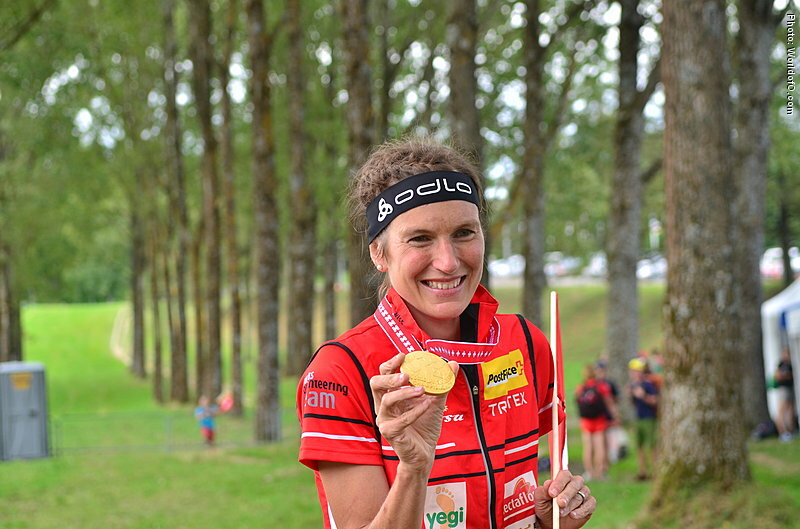 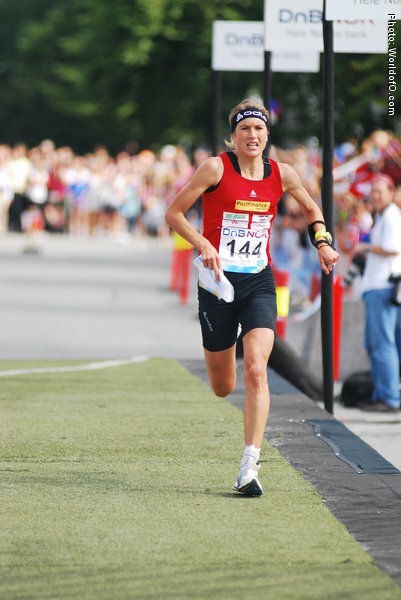 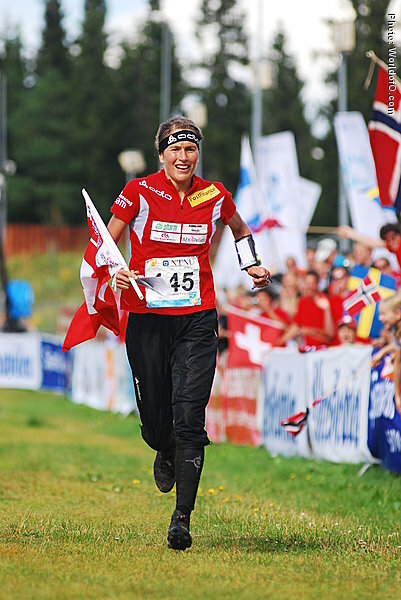 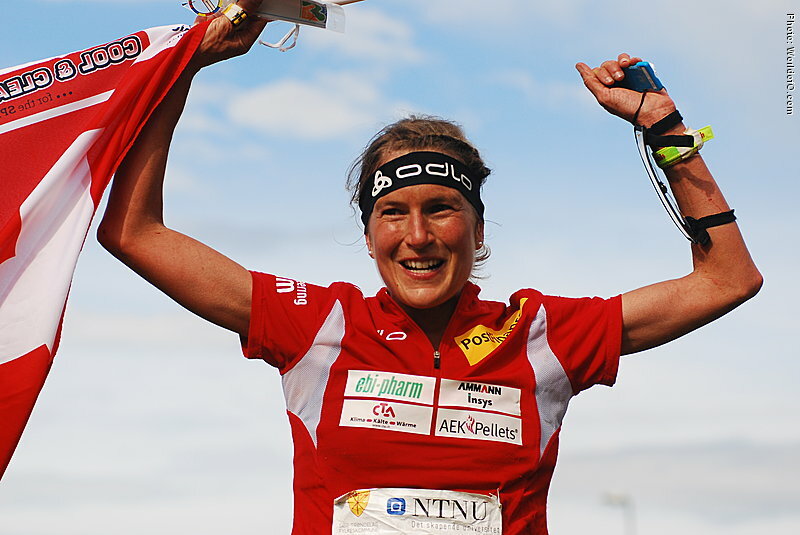 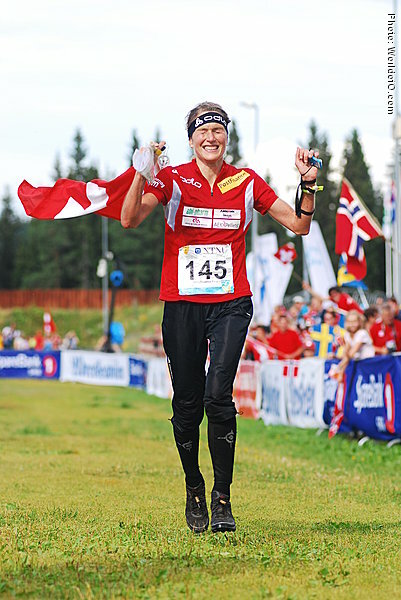 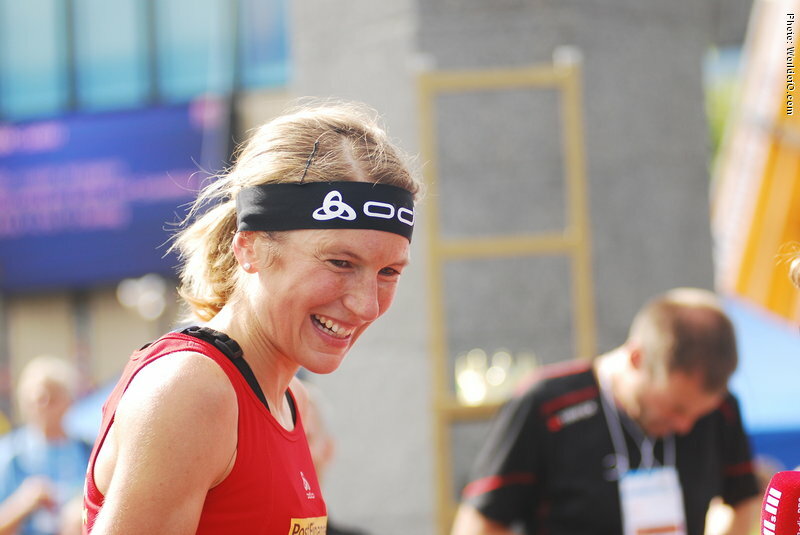 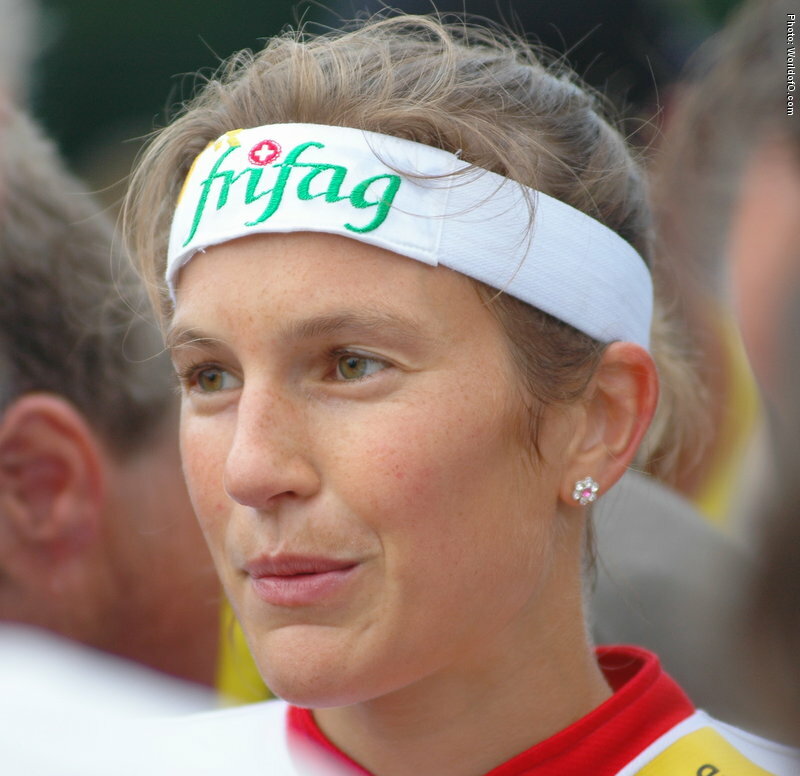 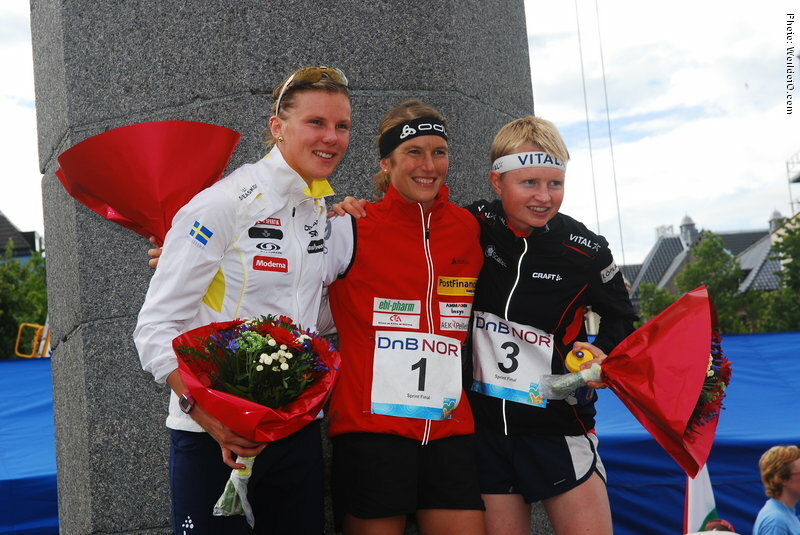 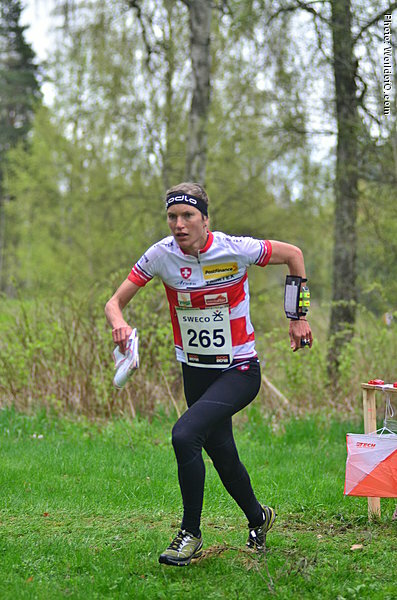 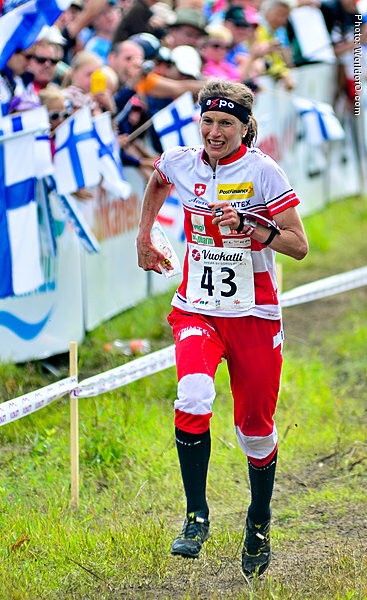 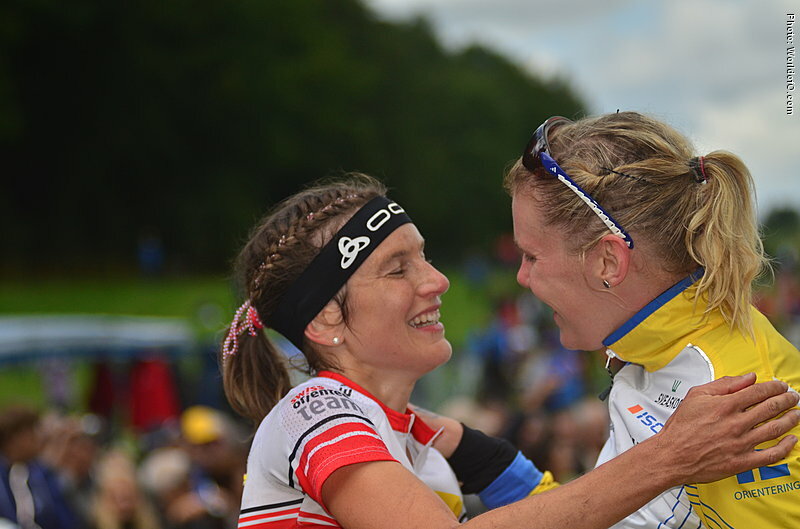 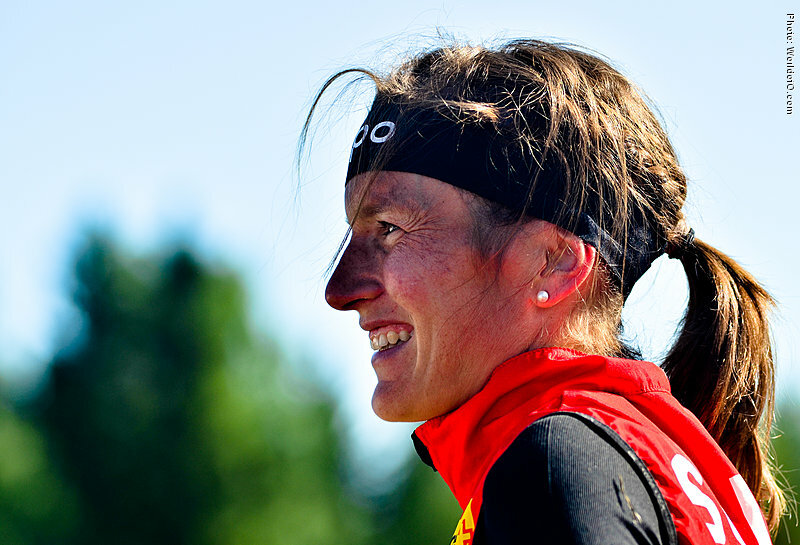 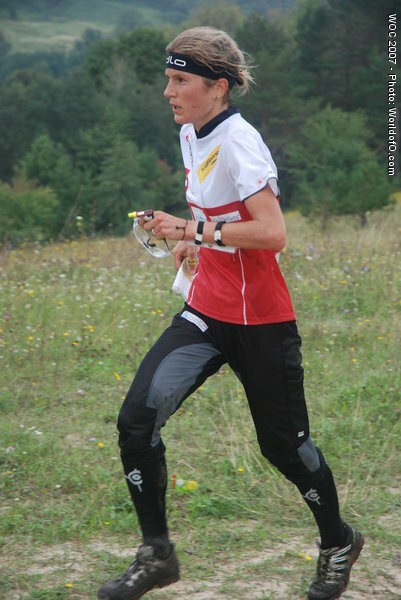 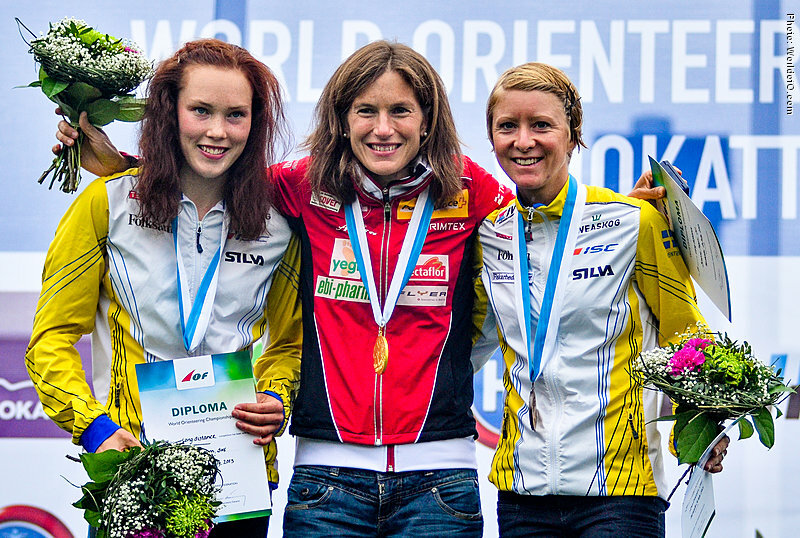 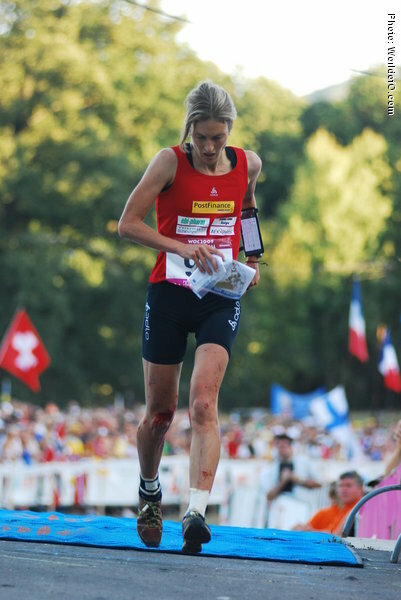 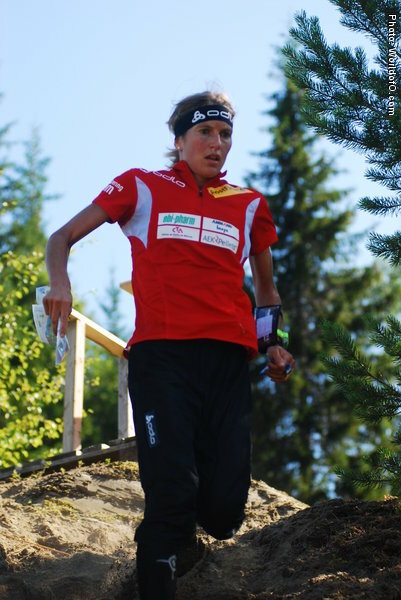 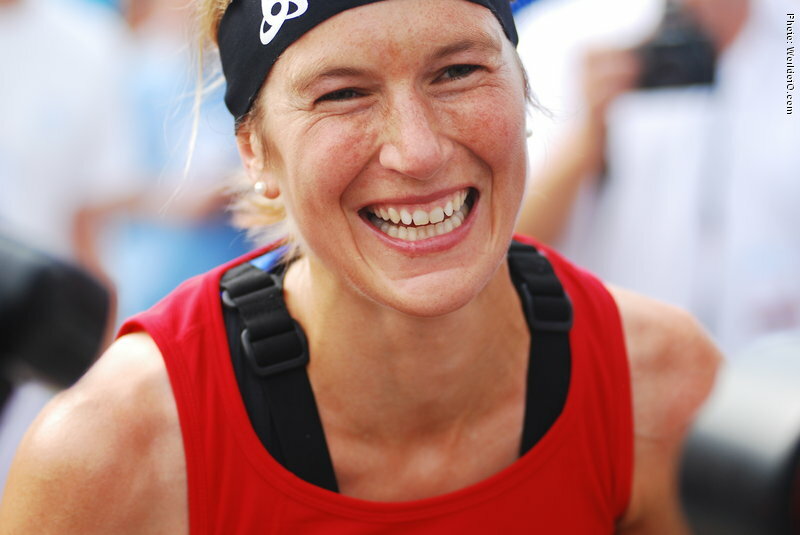 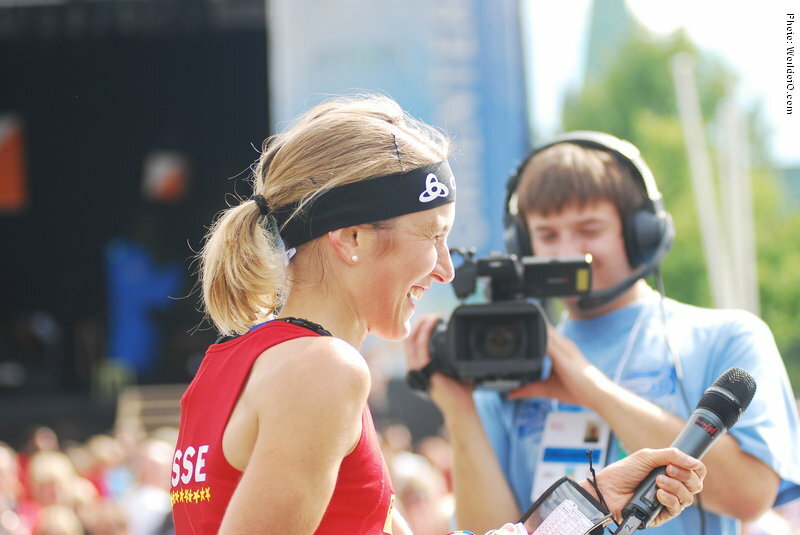 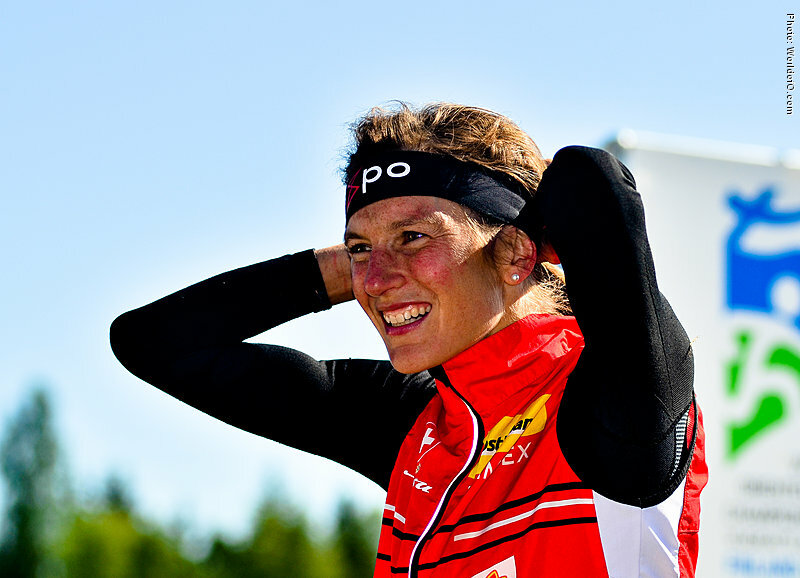 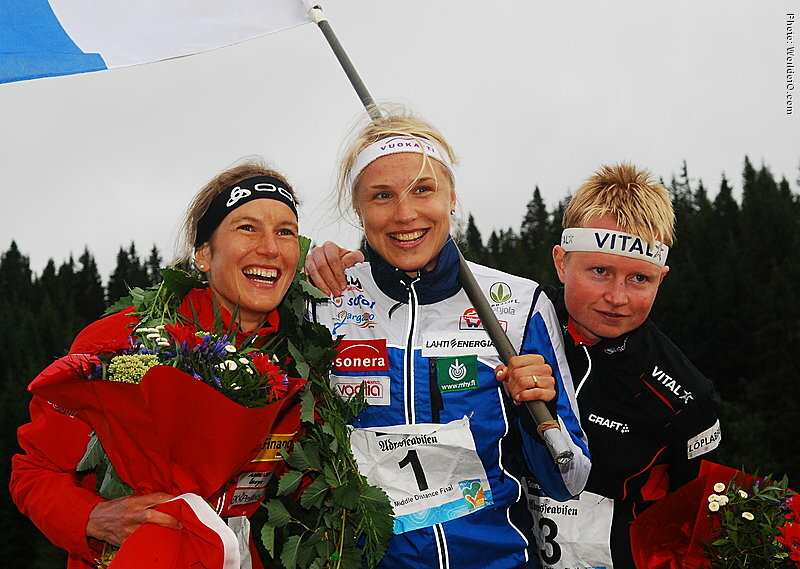 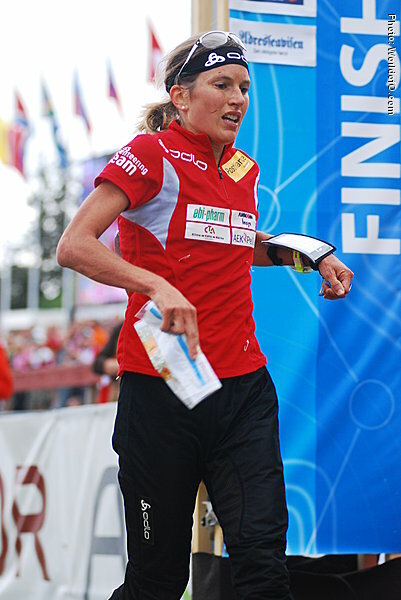 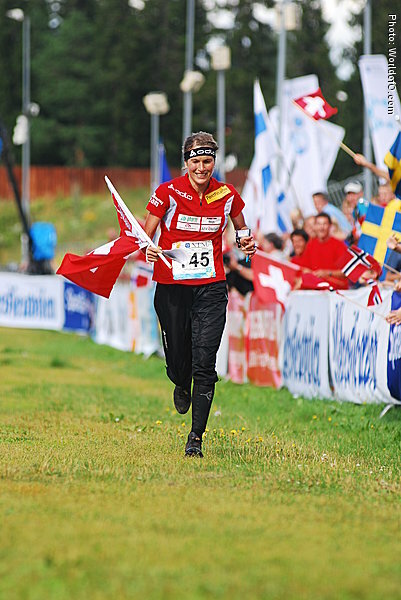 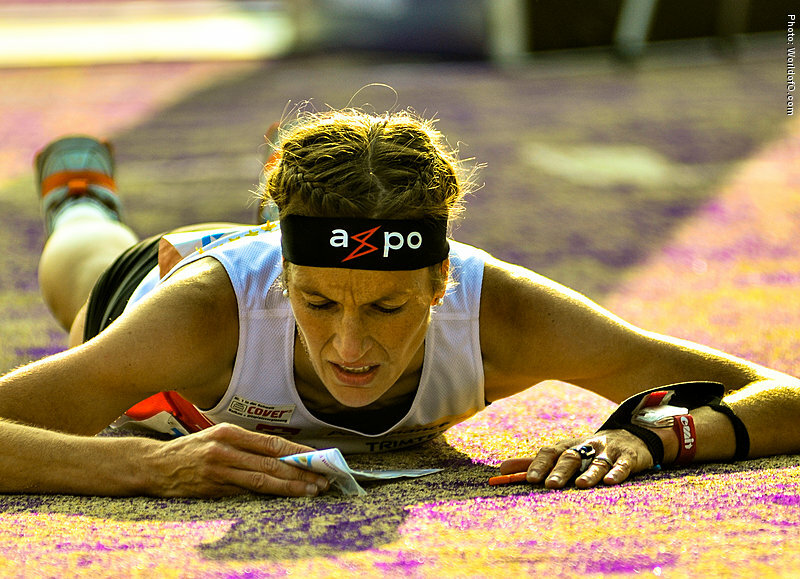 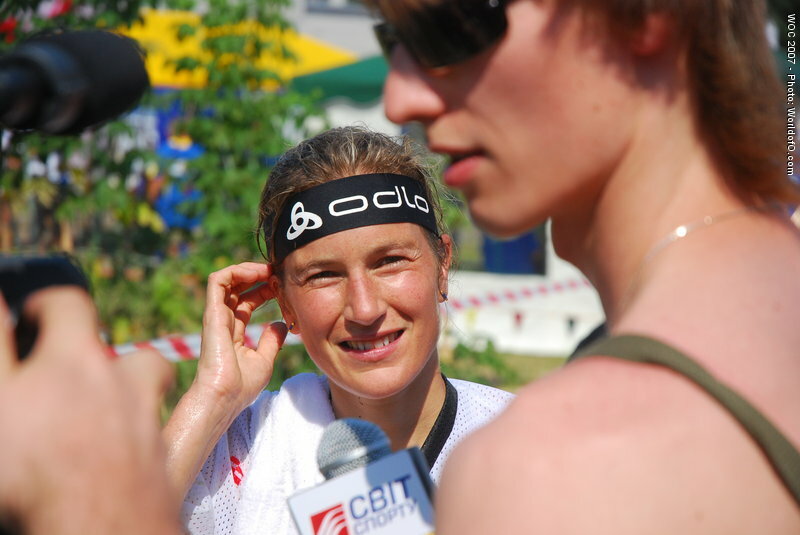 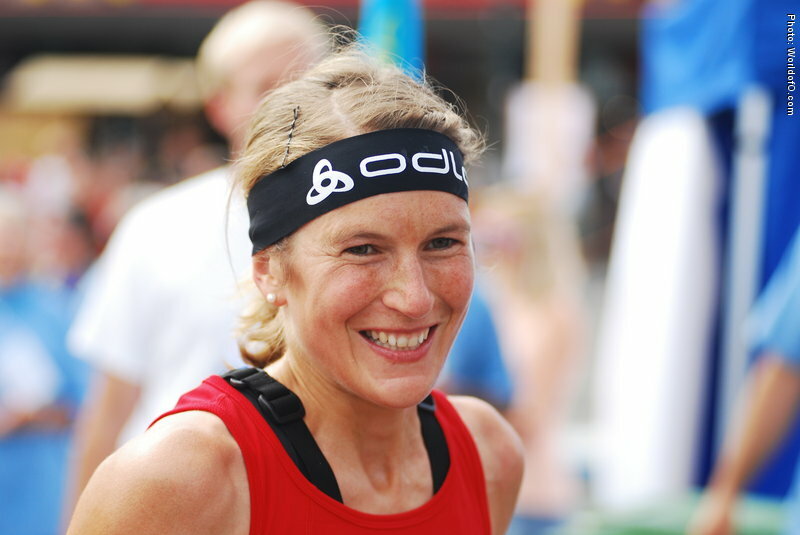 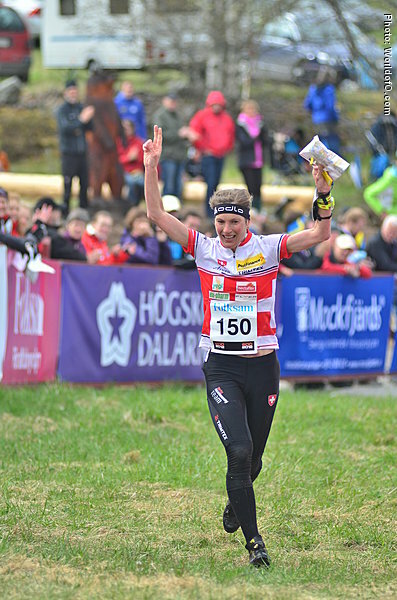 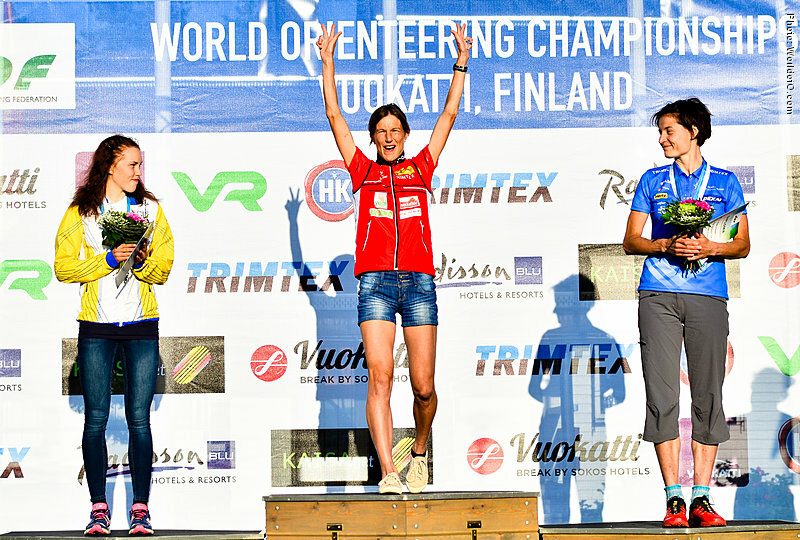 She made a comeback in 2009 after being away from orienteering 2008 due to giving birth to a child (Malin), and managed to get back to the top with a WOC gold medal in the long distance and a WOC bronze medal on the middle distance. 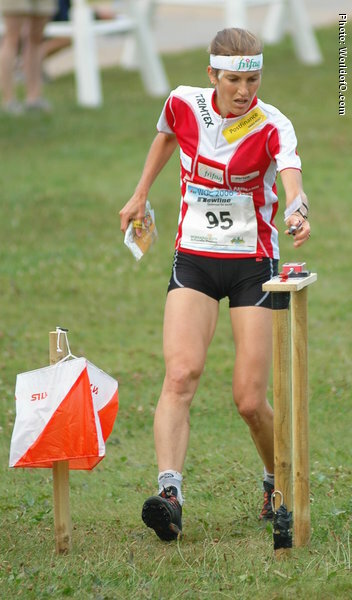 Struggled more with her orienteering after her comeback, but steadily improved her technique back towards the old security throughout 2009 and 2010. 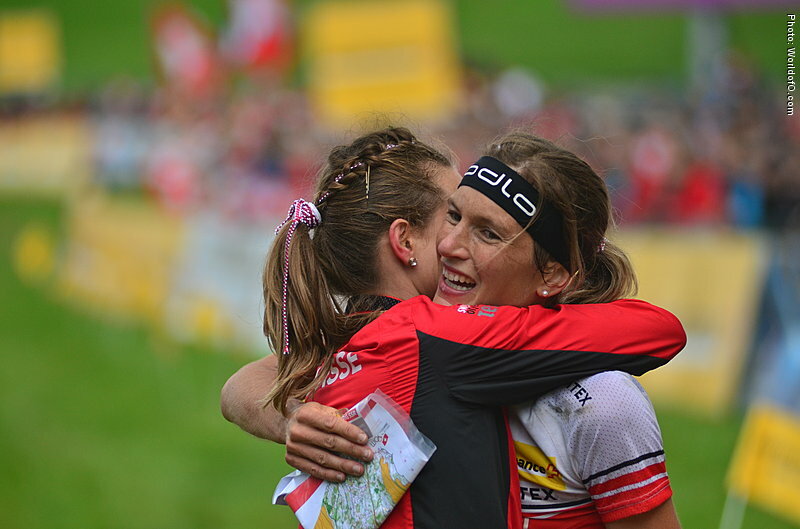 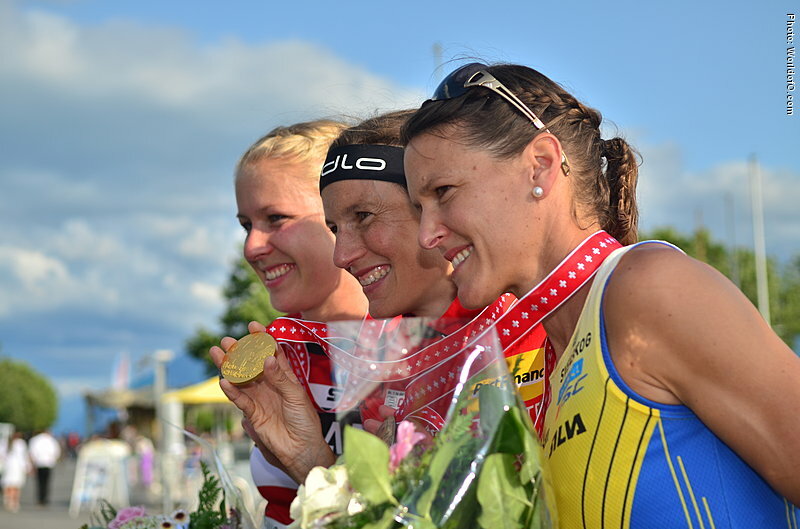 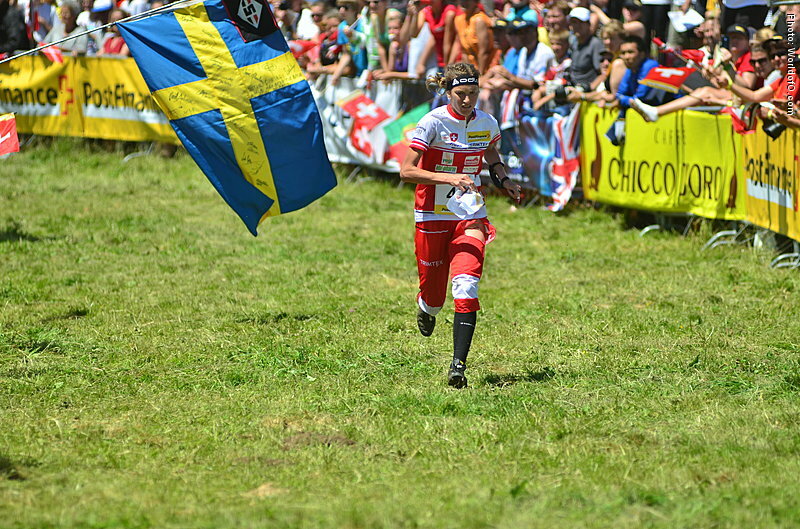 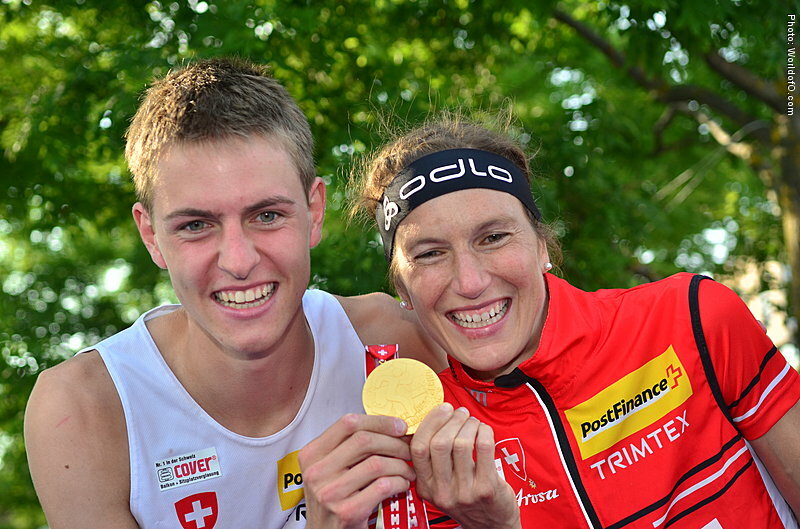 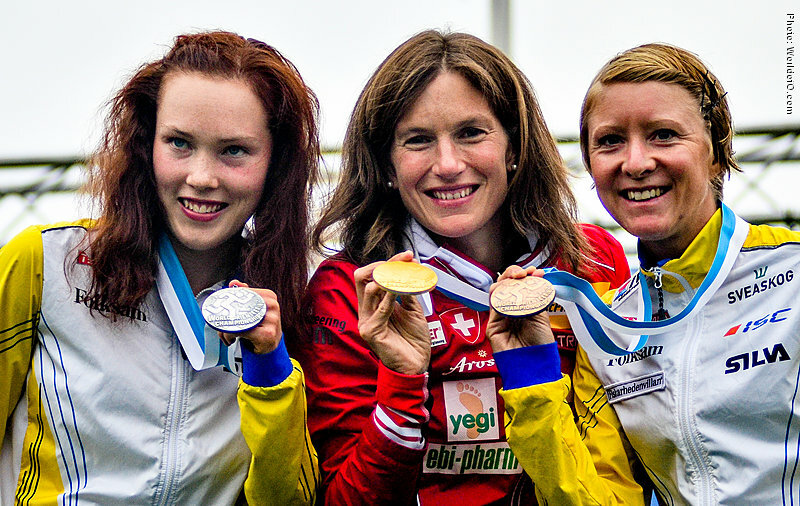 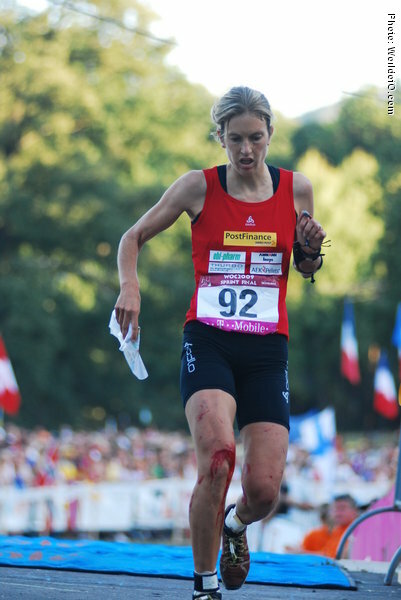 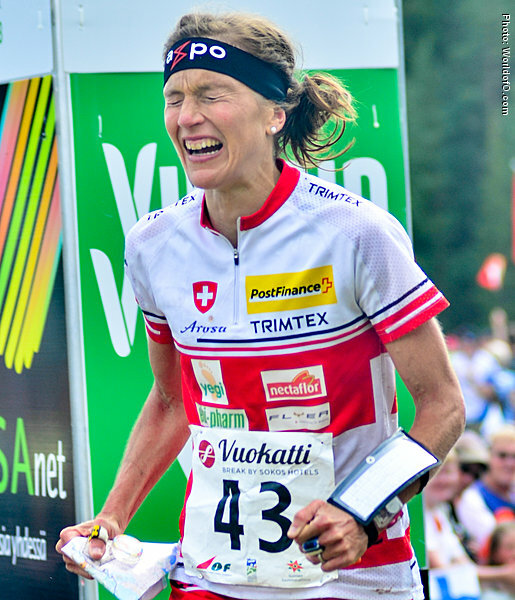 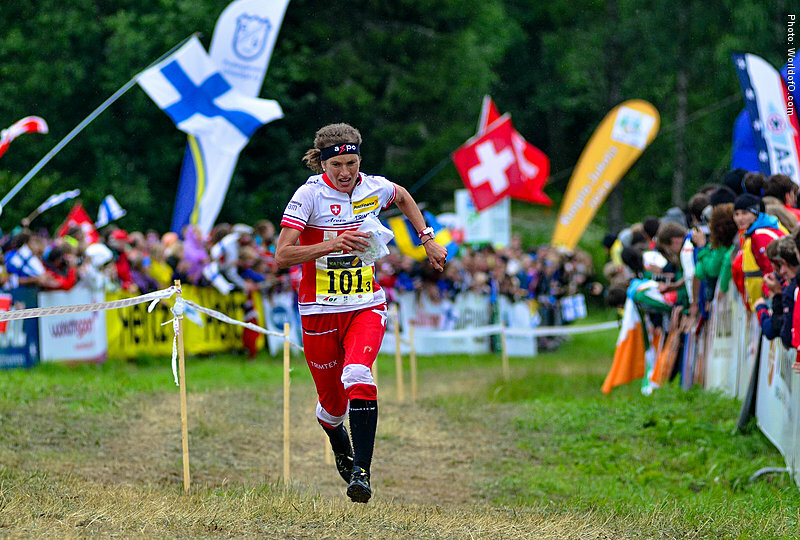 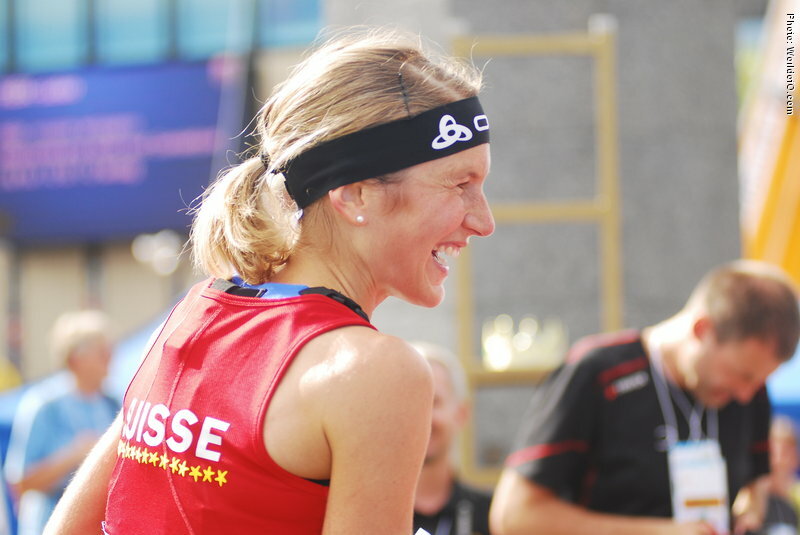 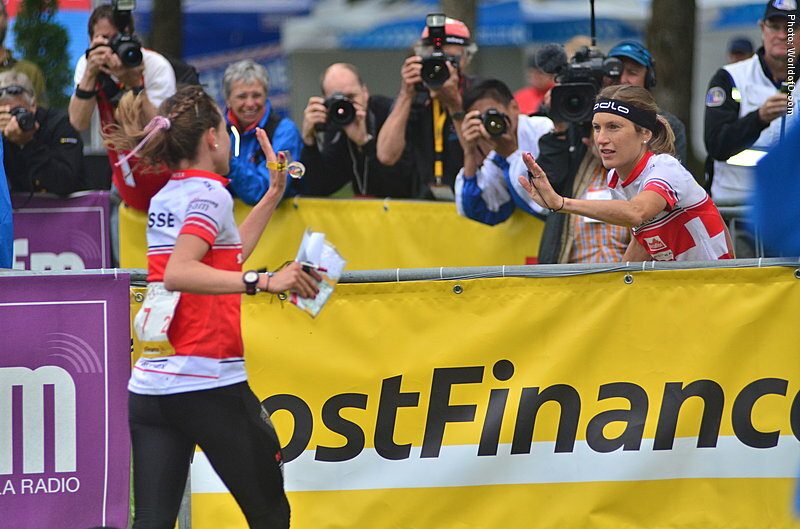 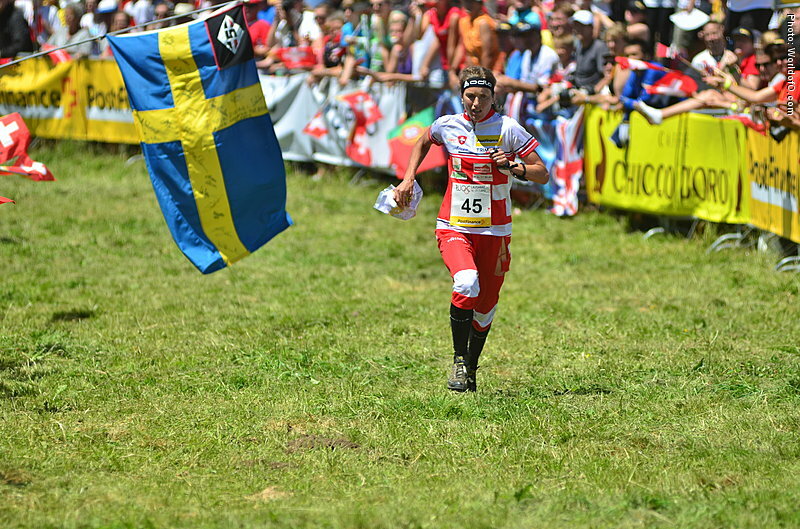 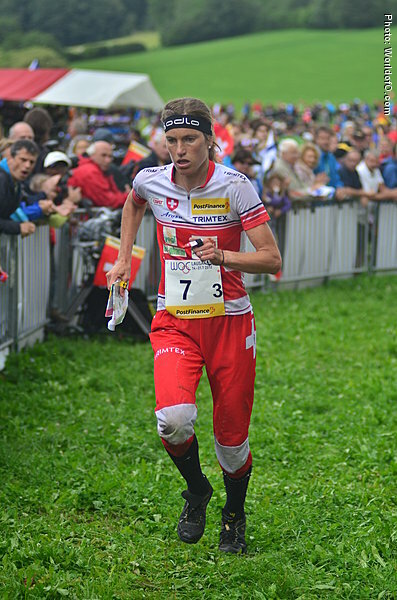 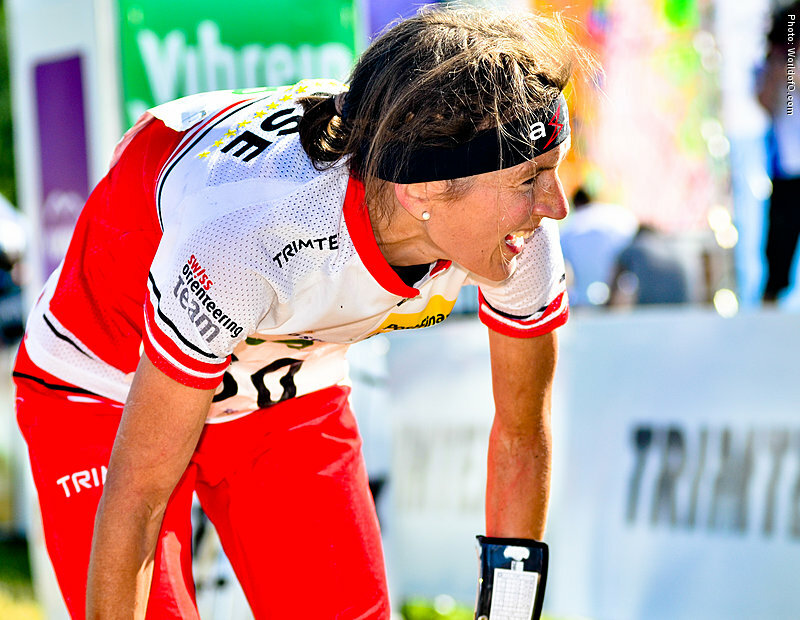 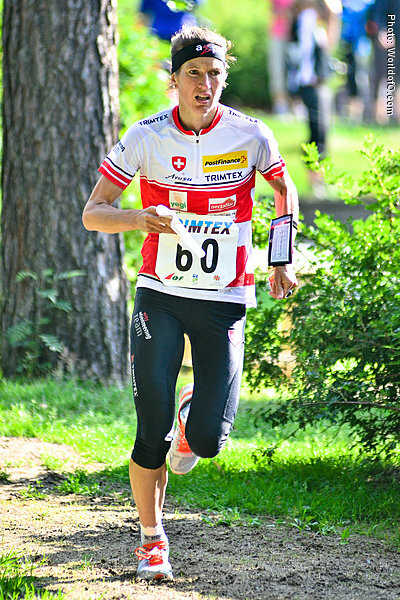 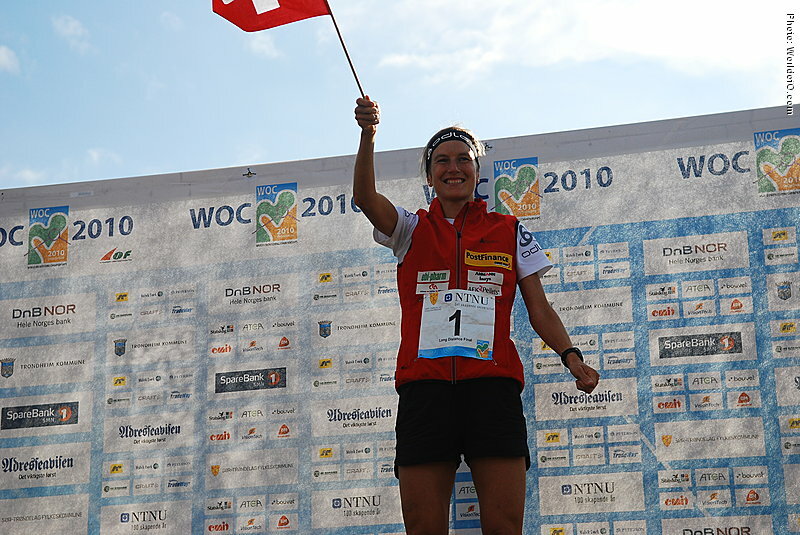 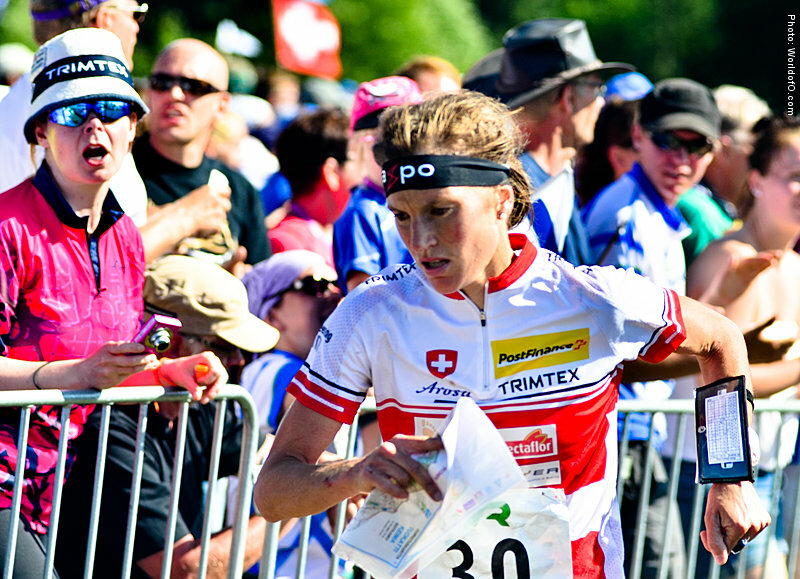 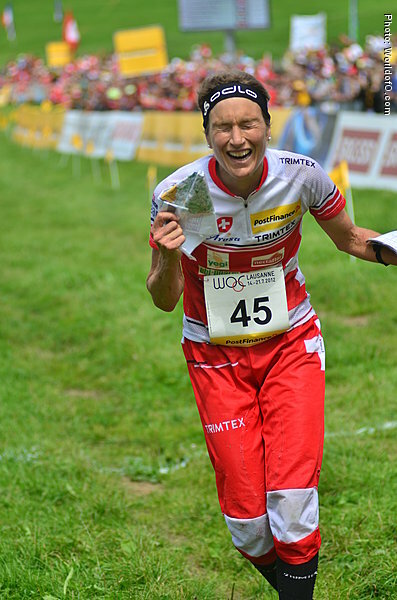 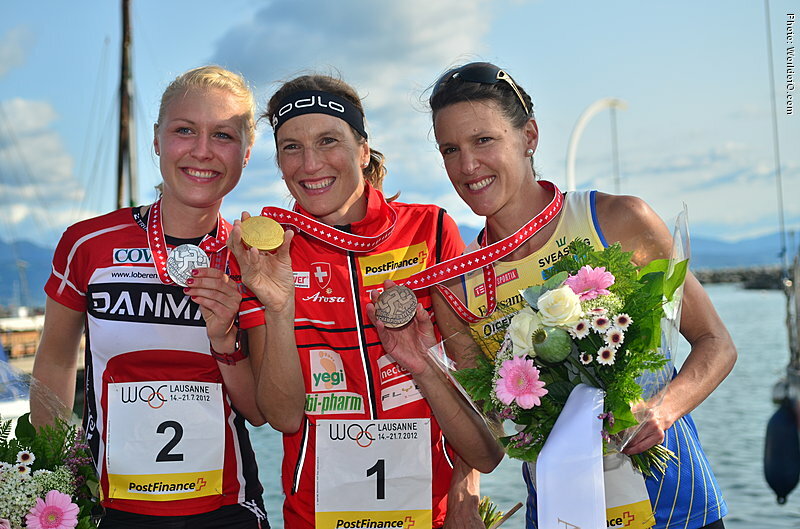 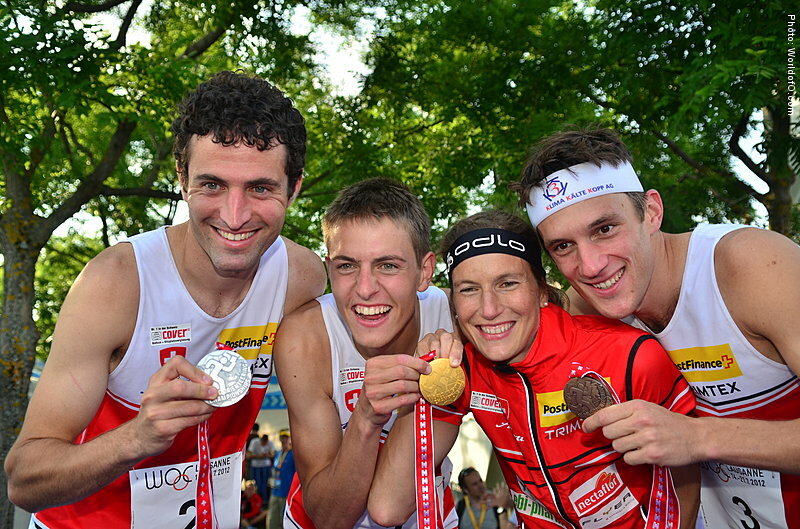 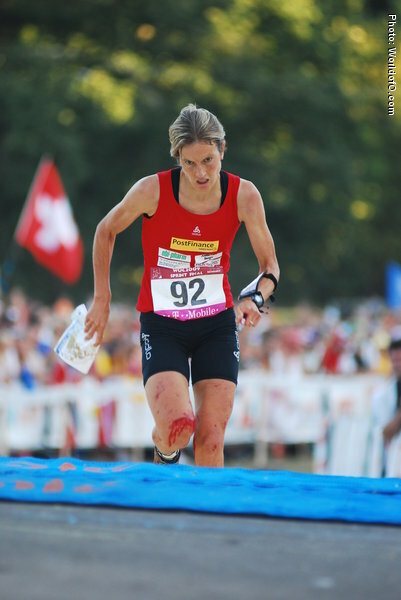 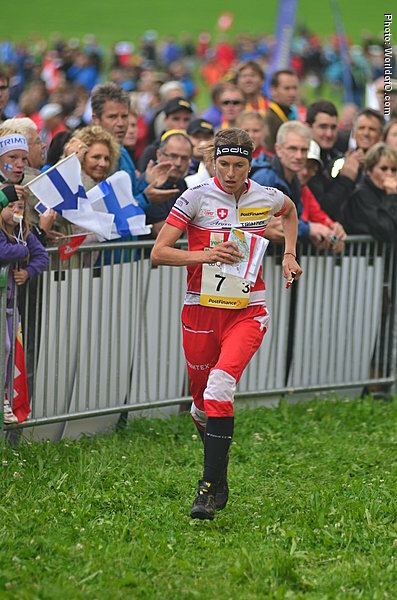 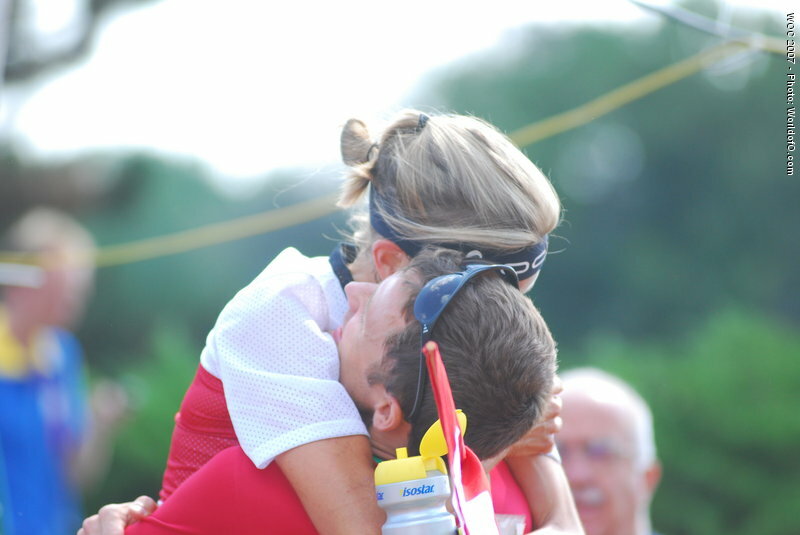 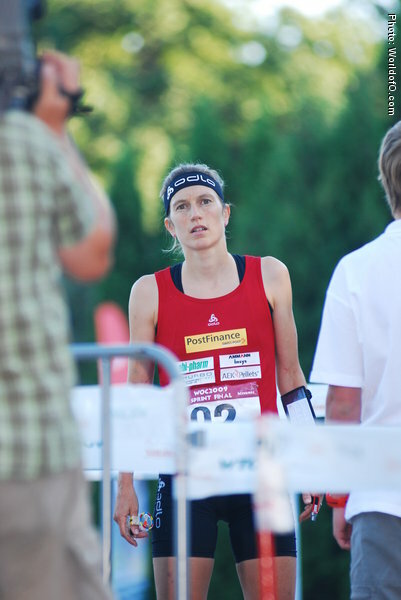 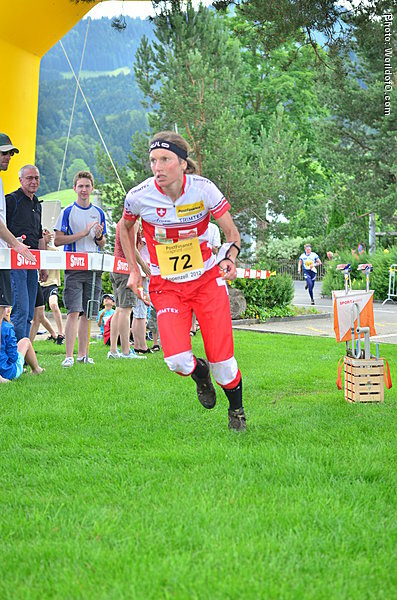 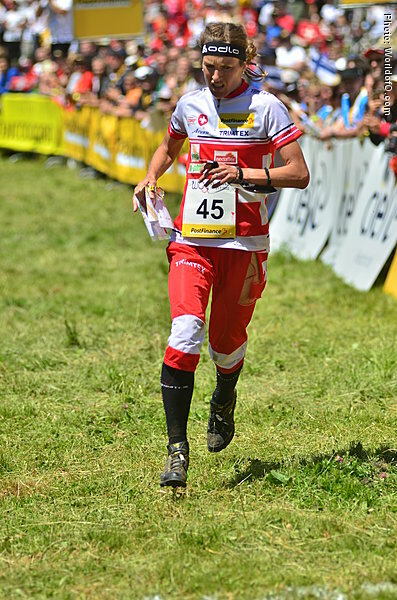 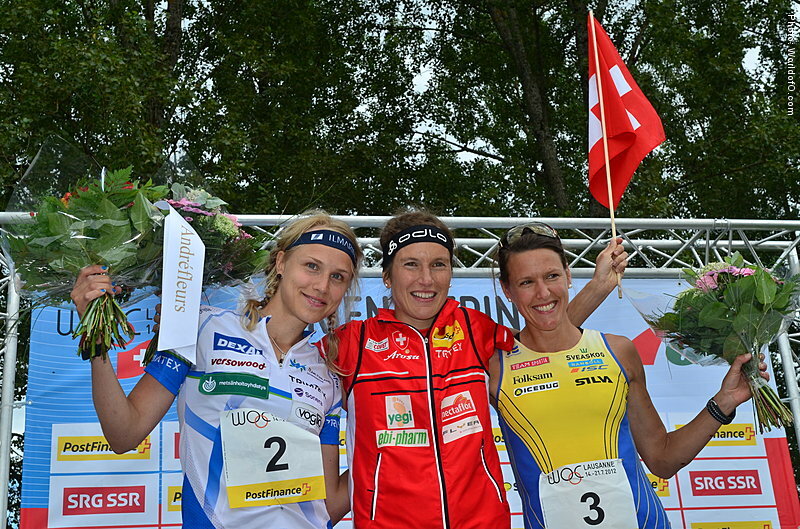 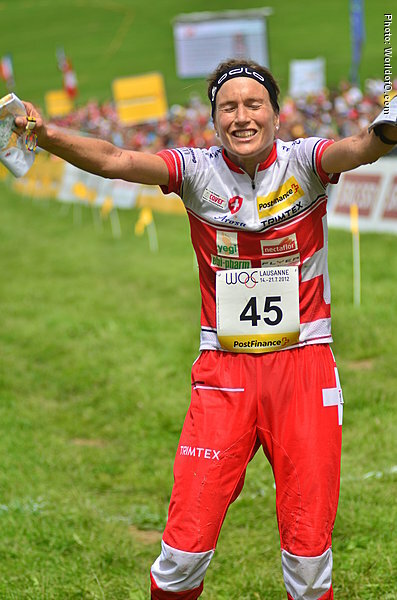 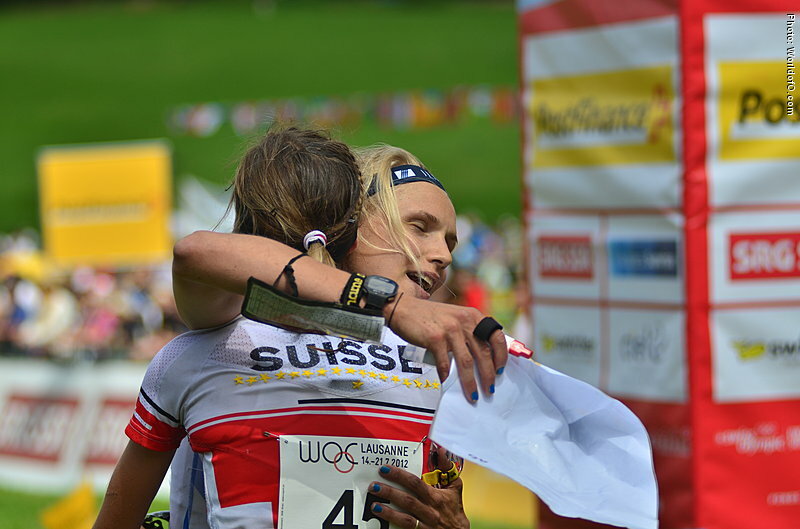 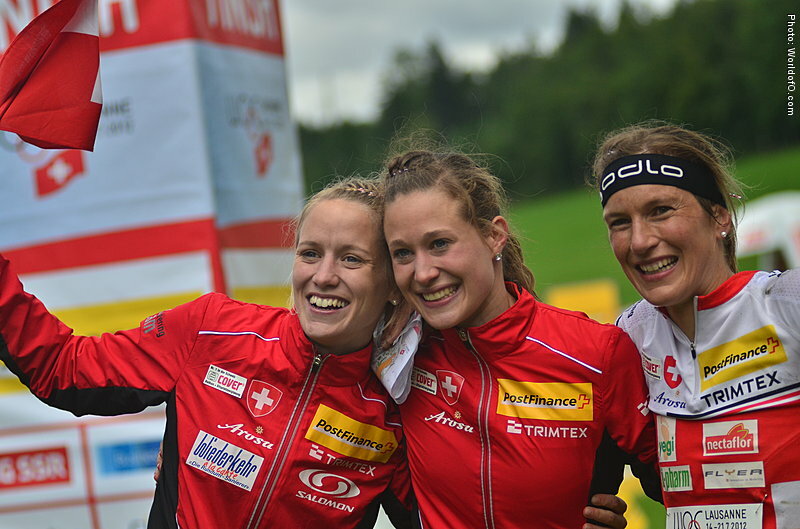 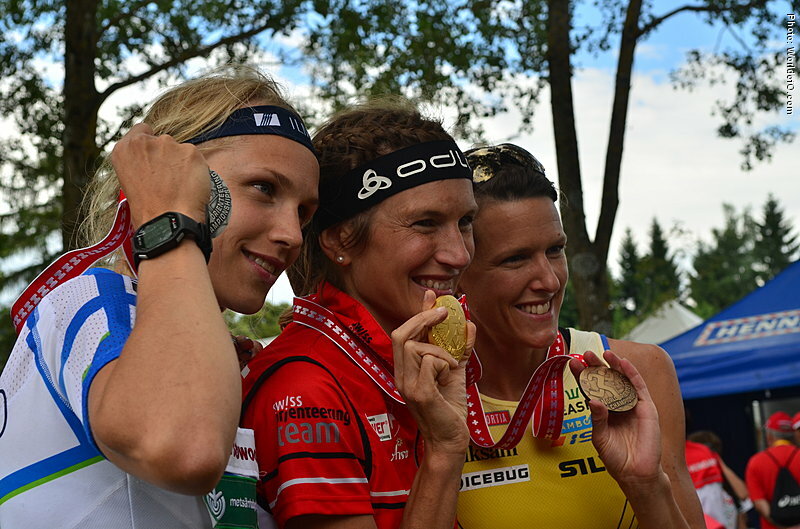 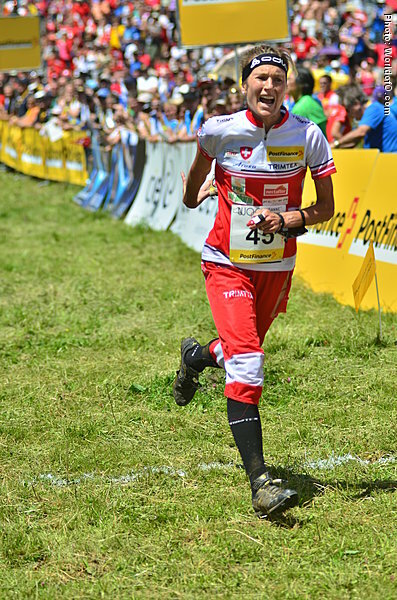 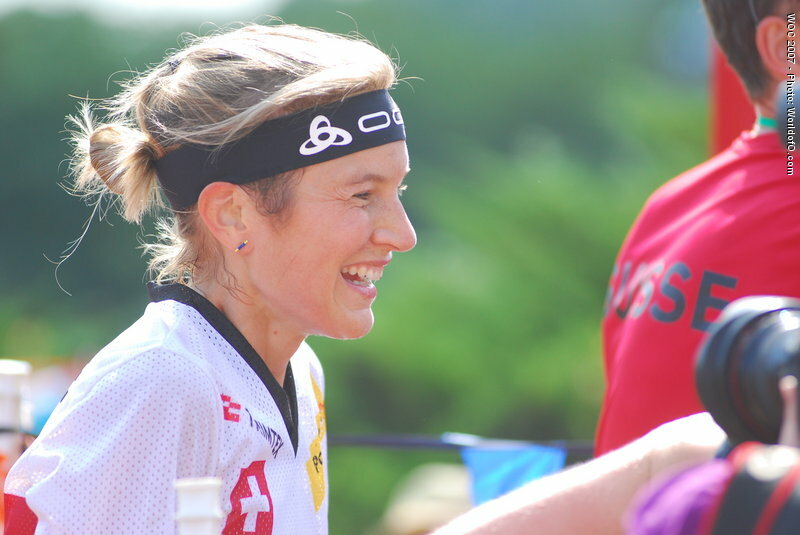 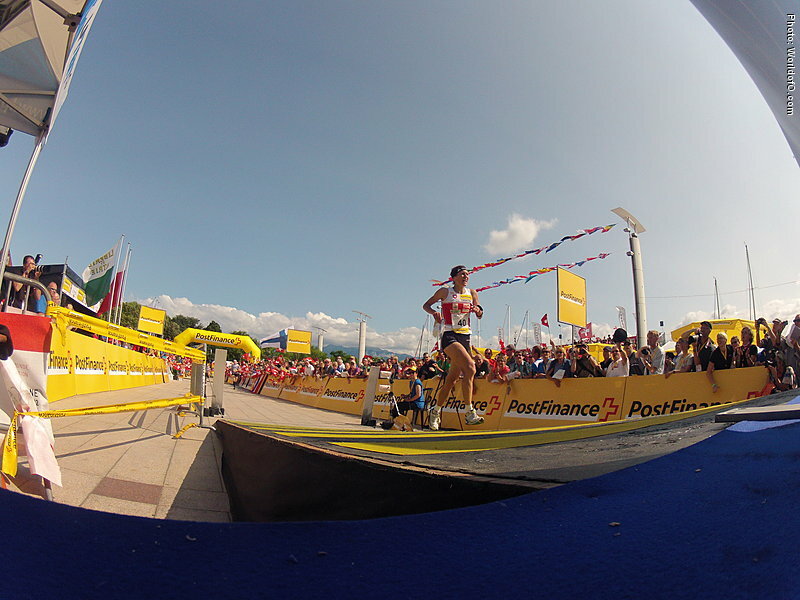 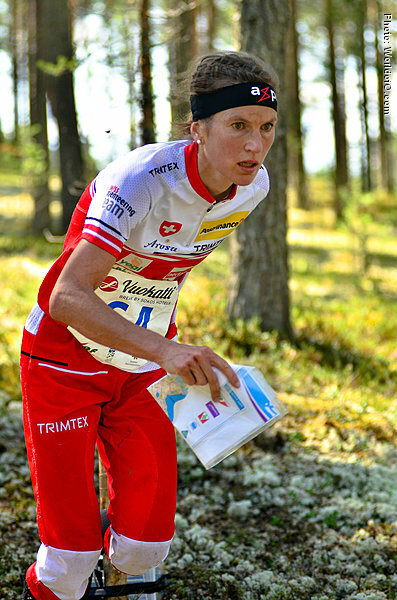 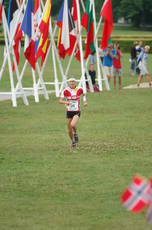 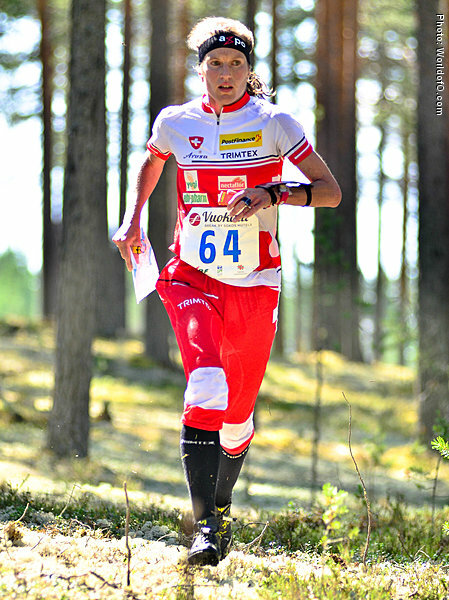 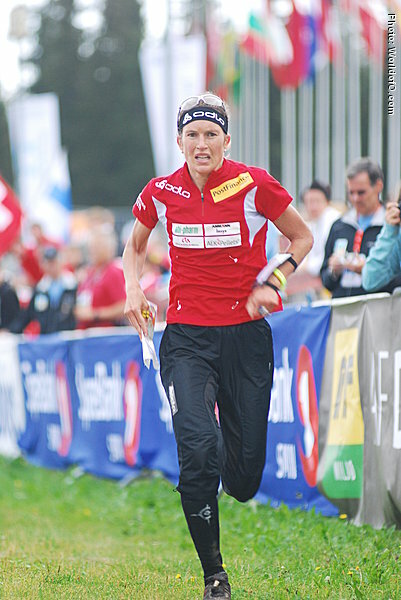 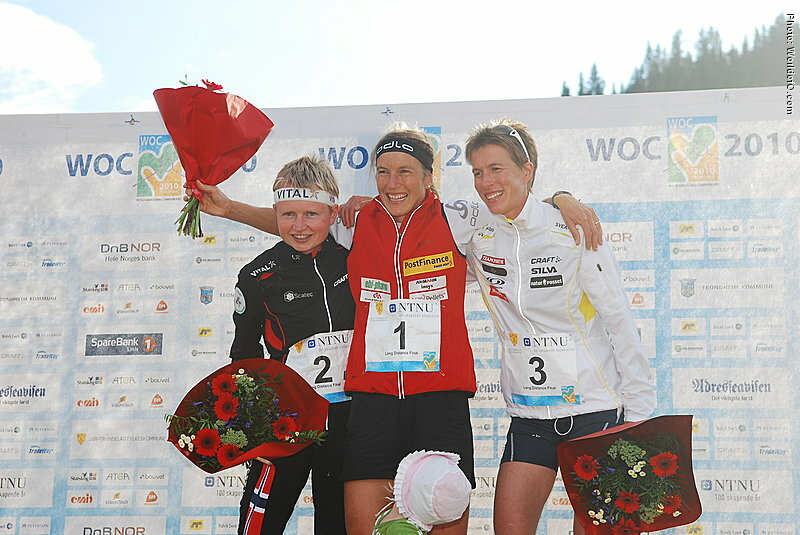 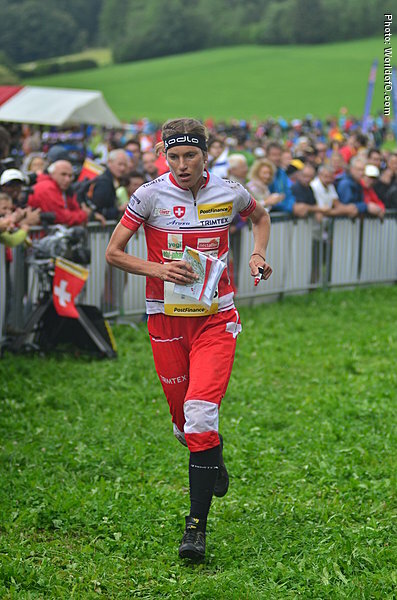 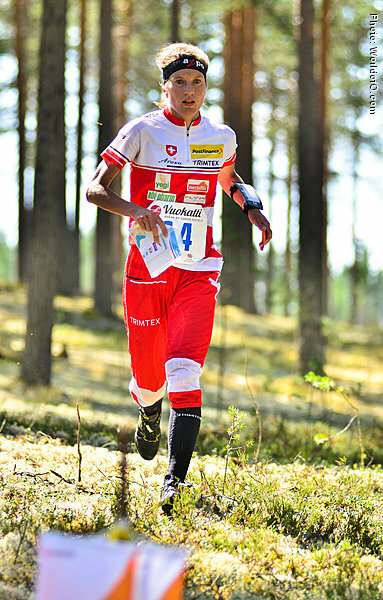 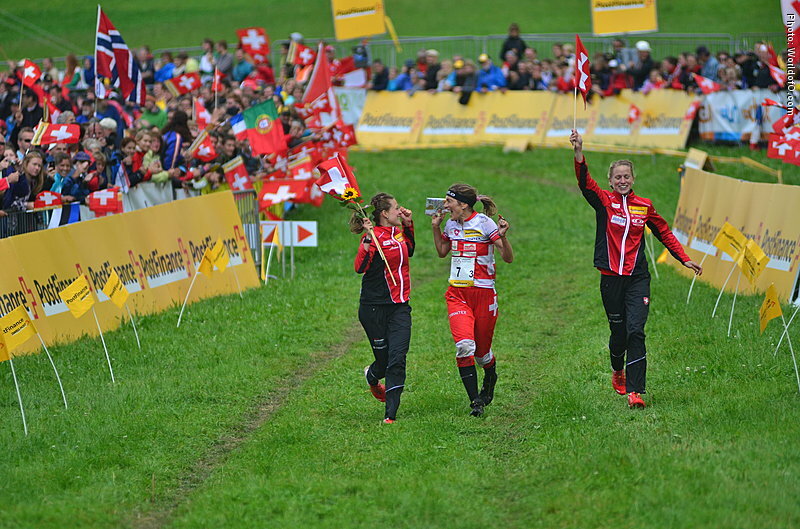 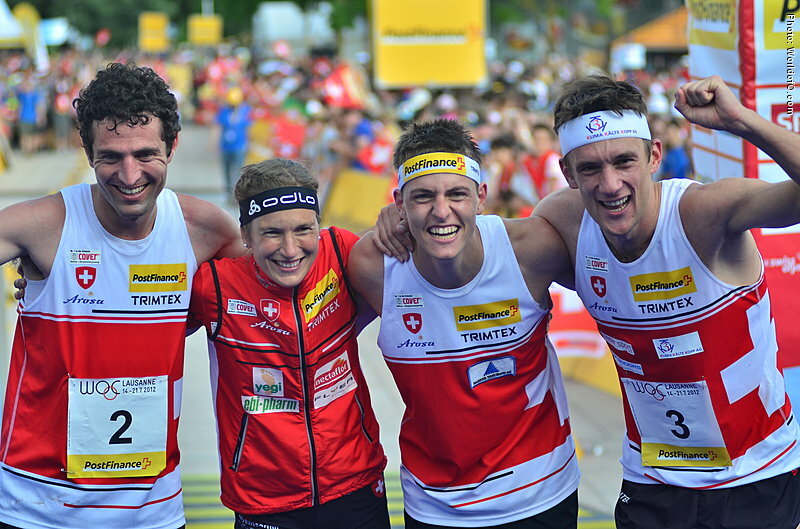 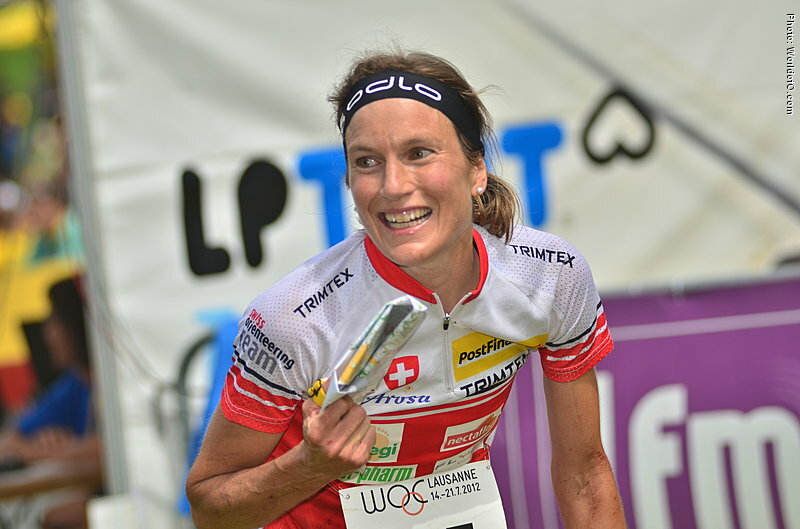 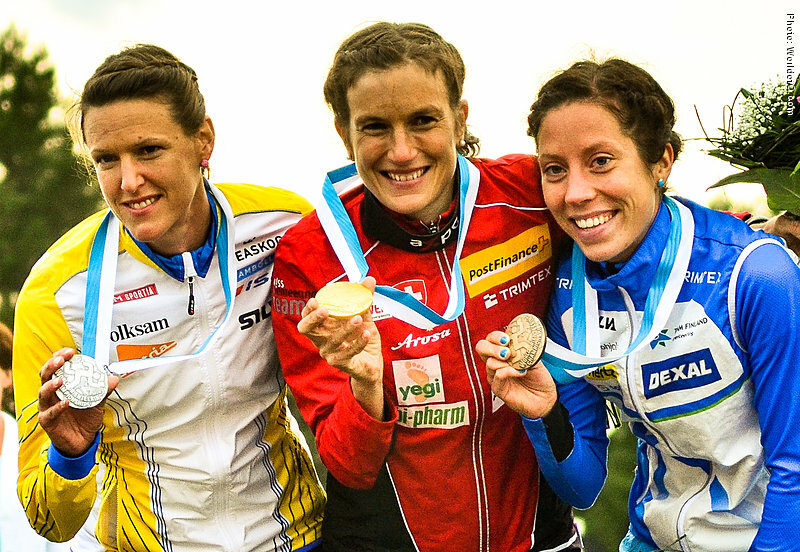 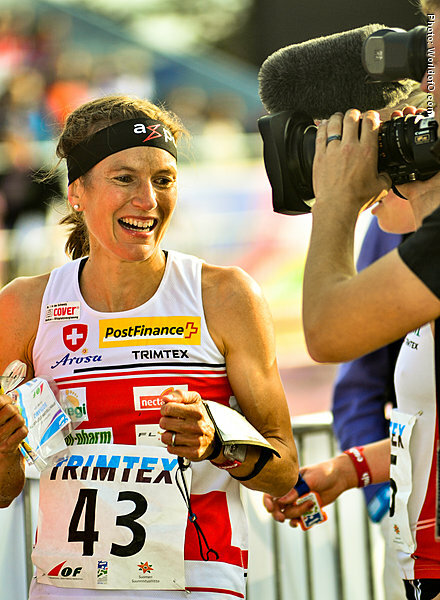 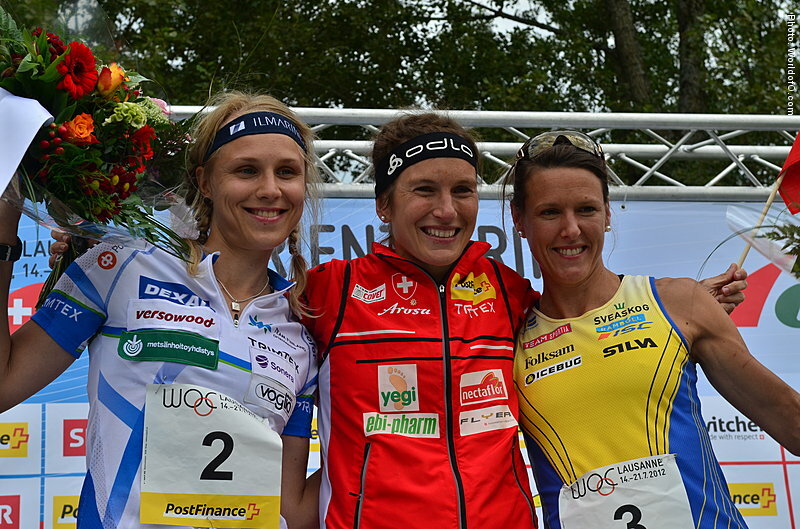 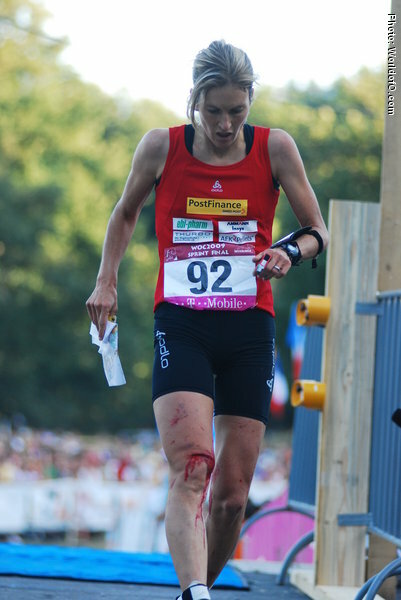 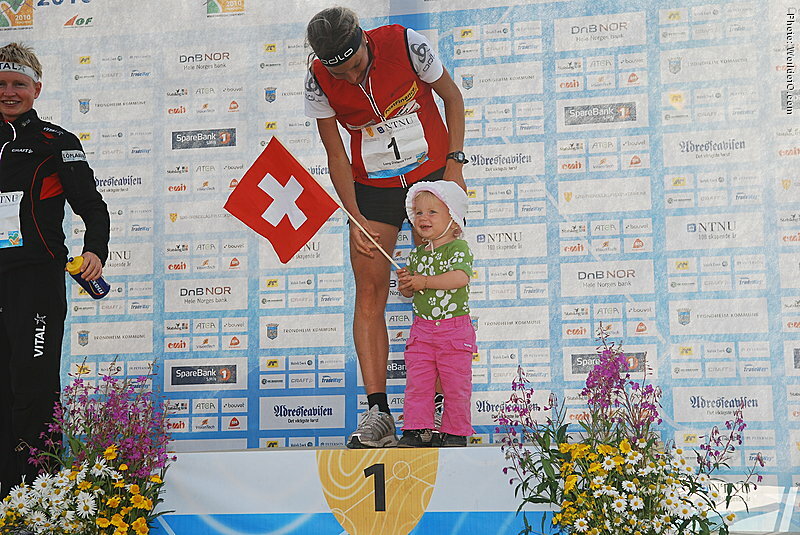 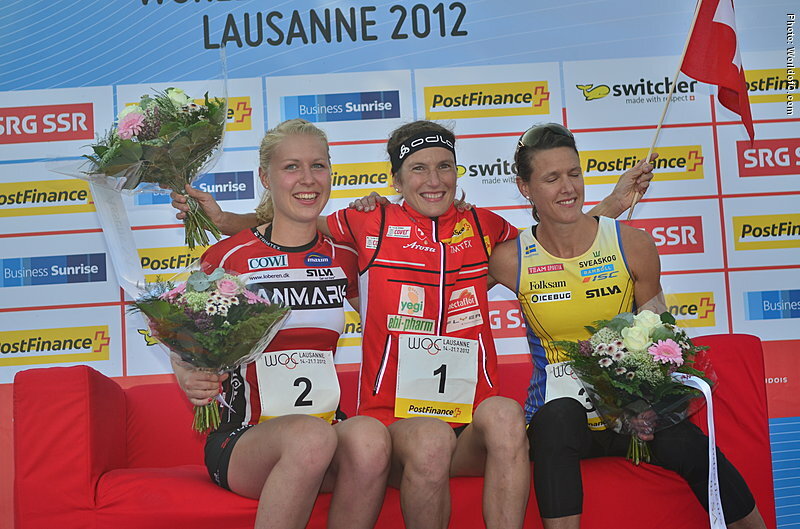 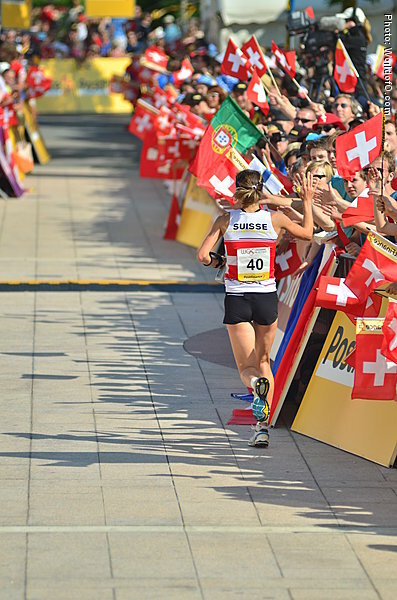 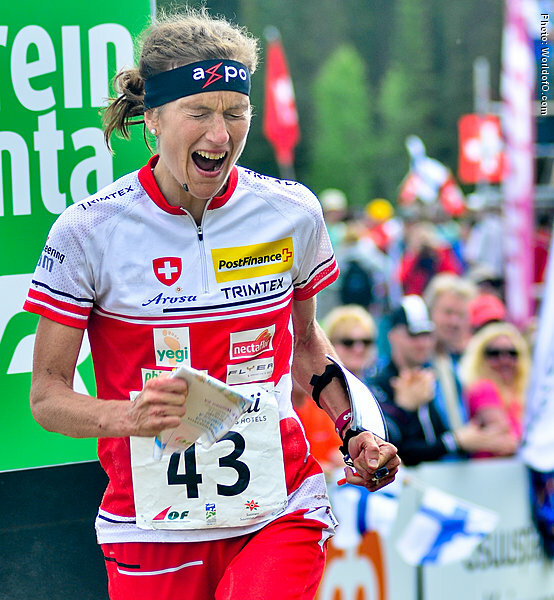 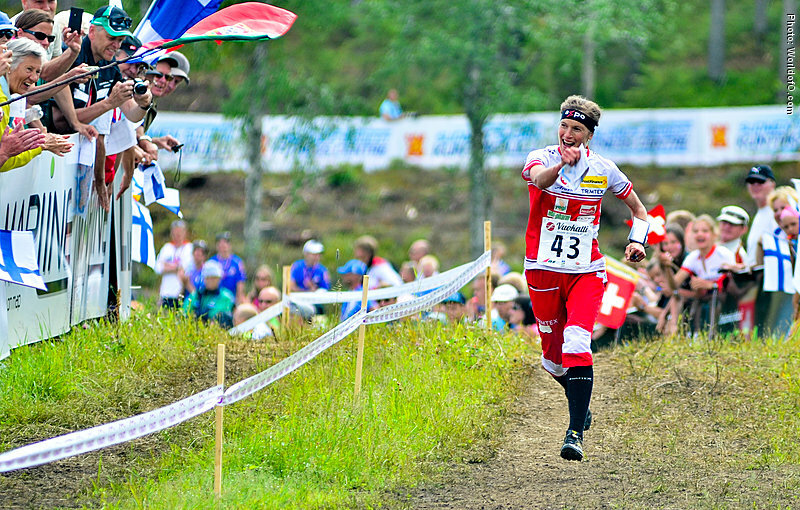 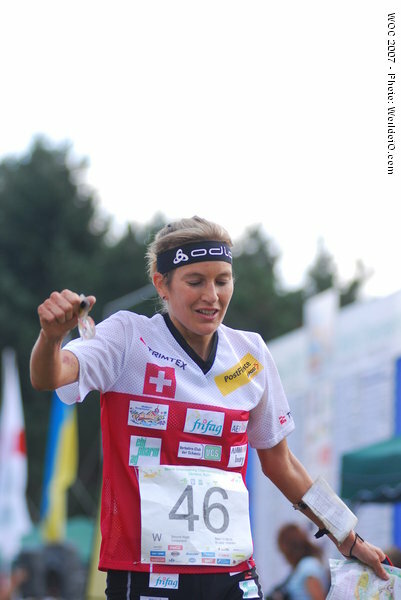 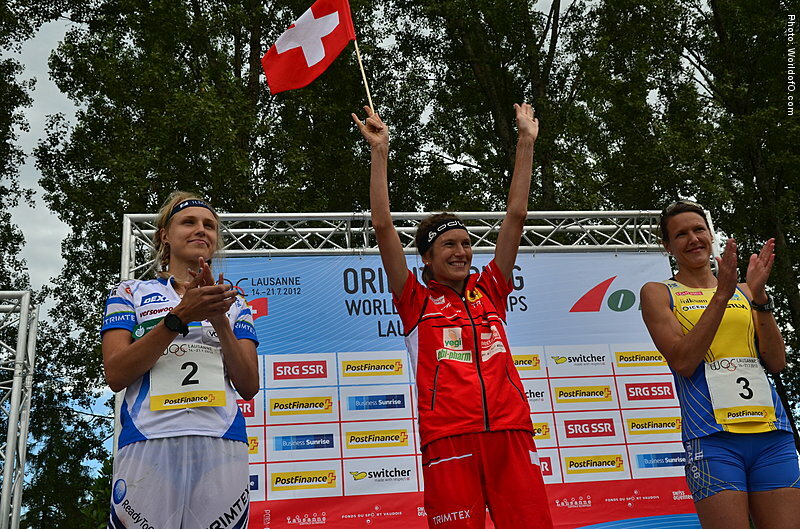 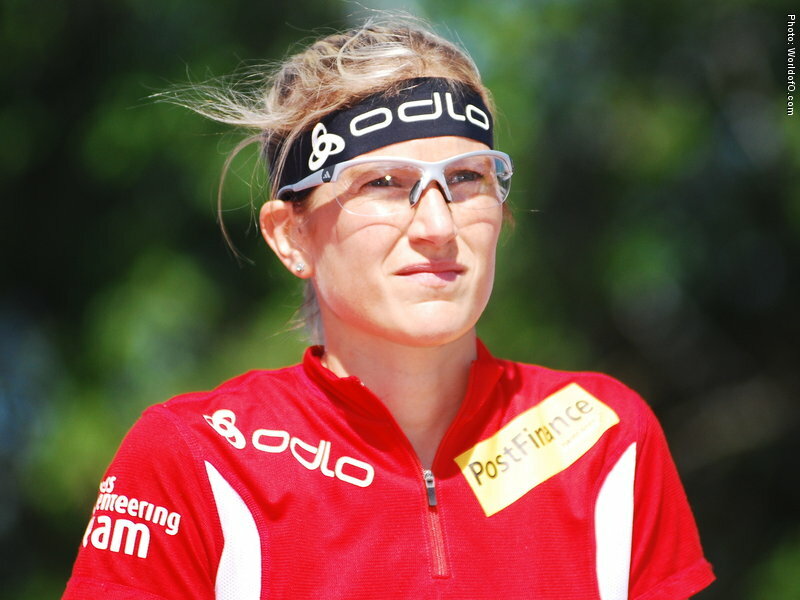 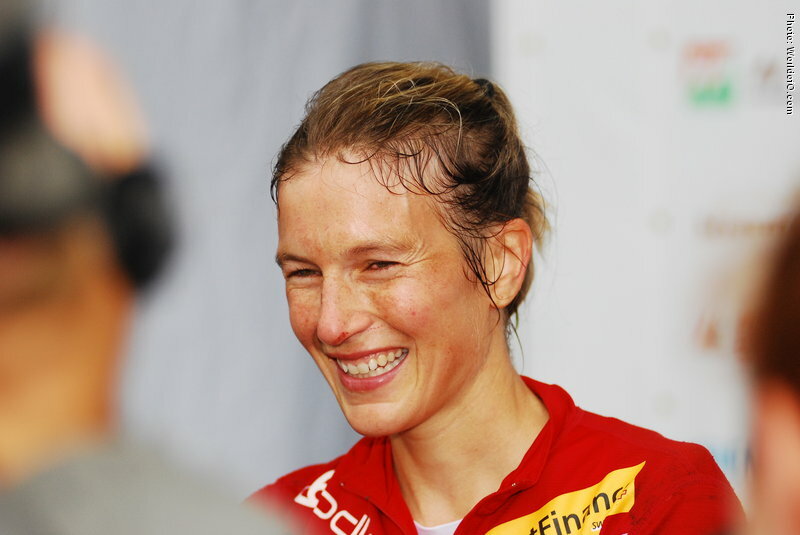 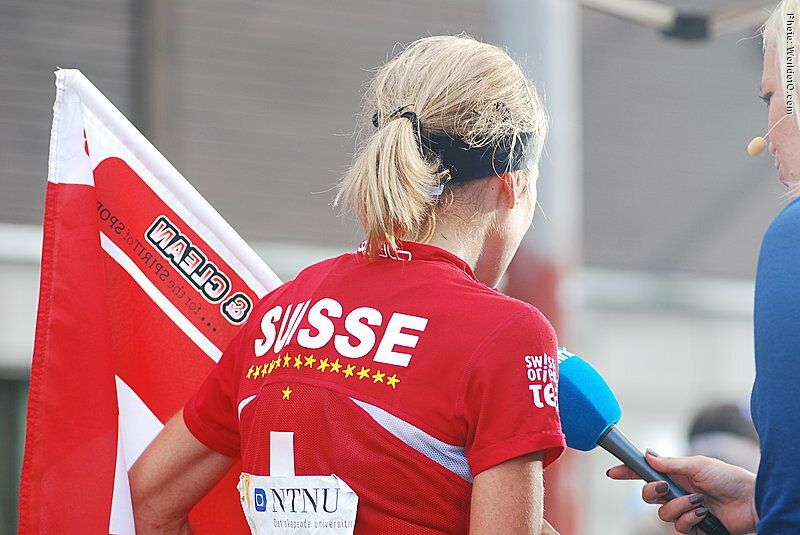 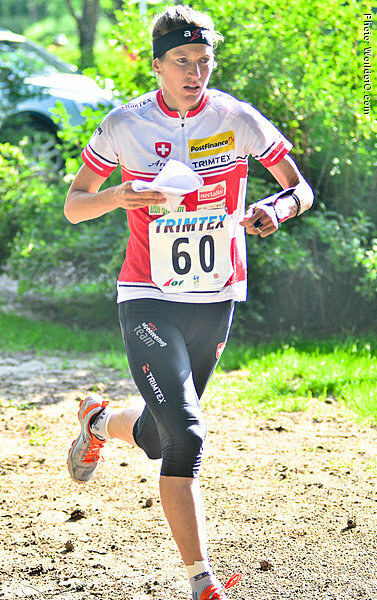 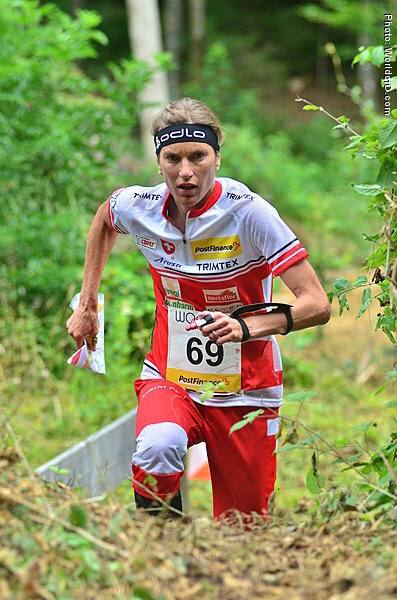 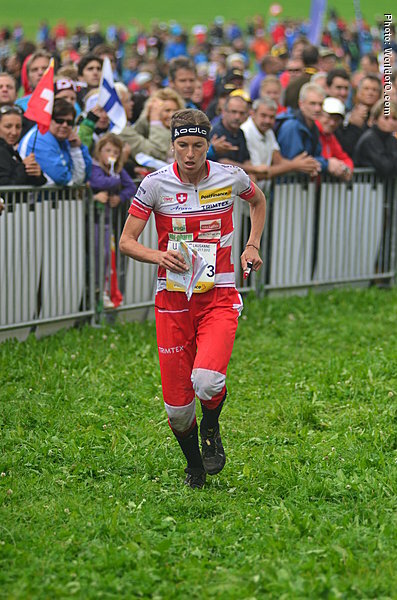 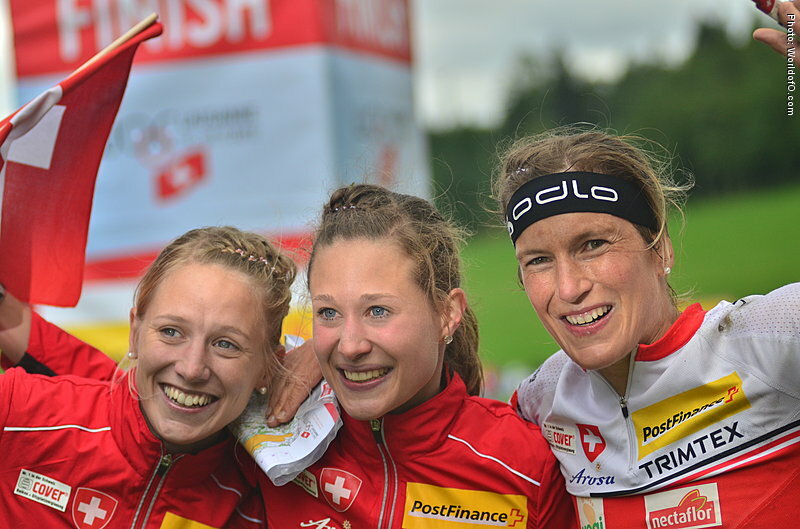 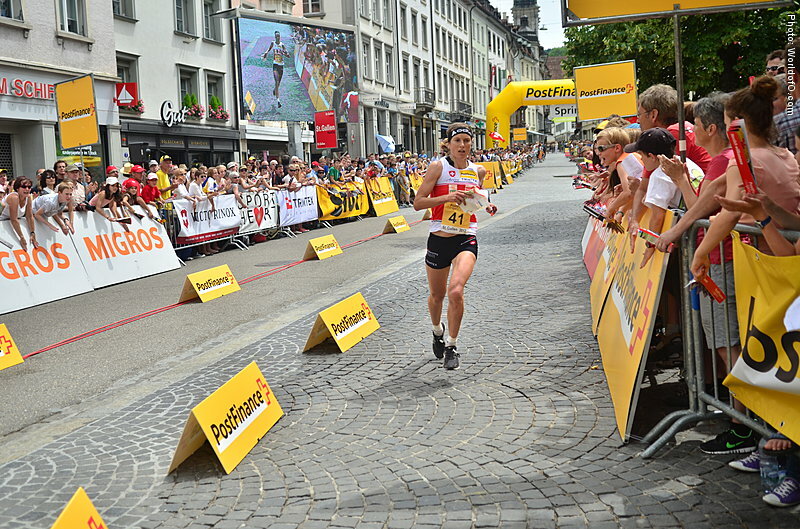 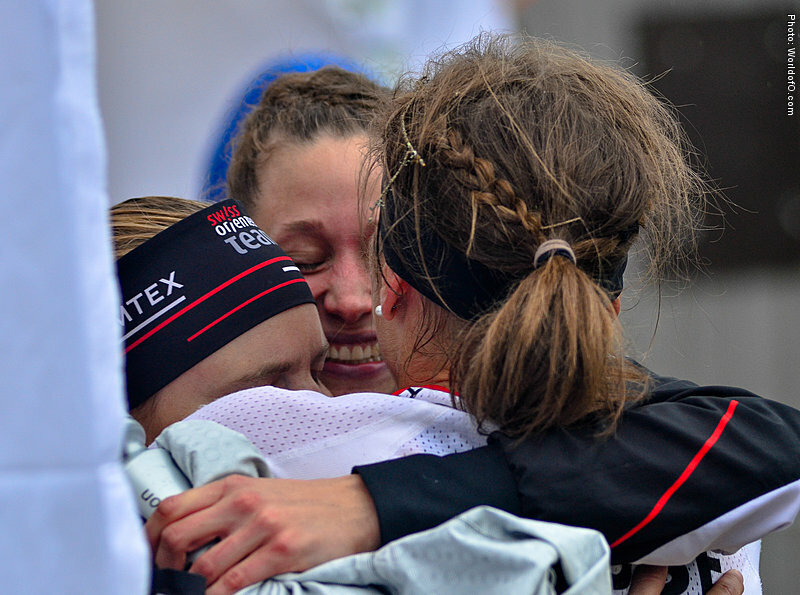 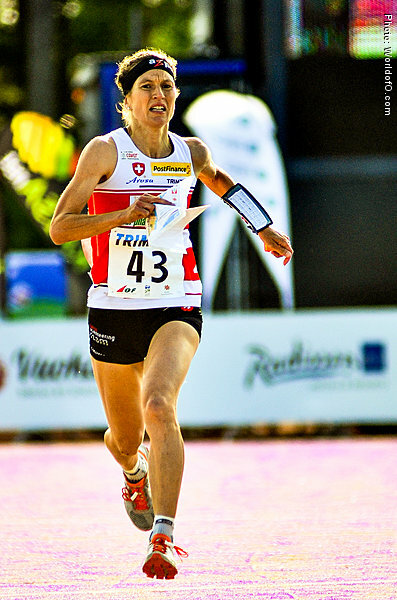 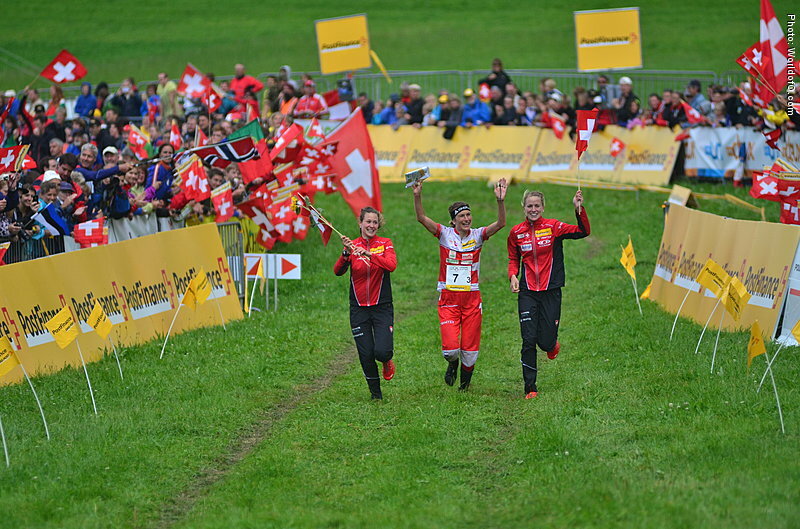 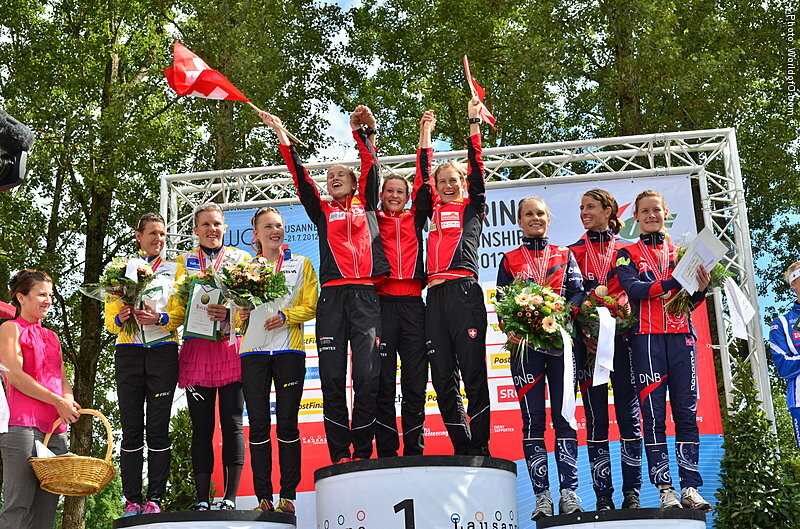 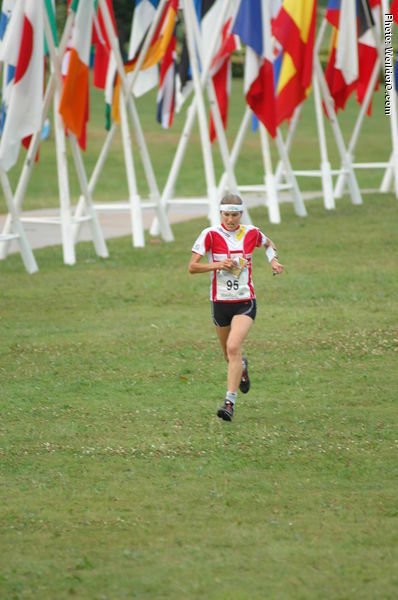 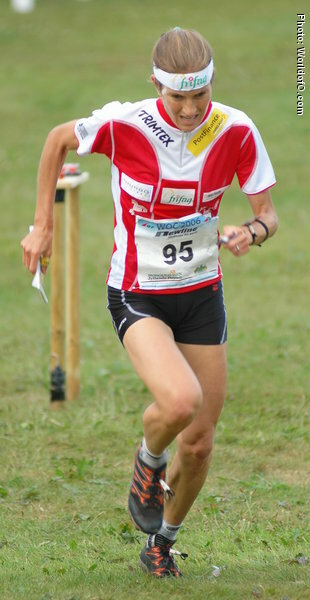 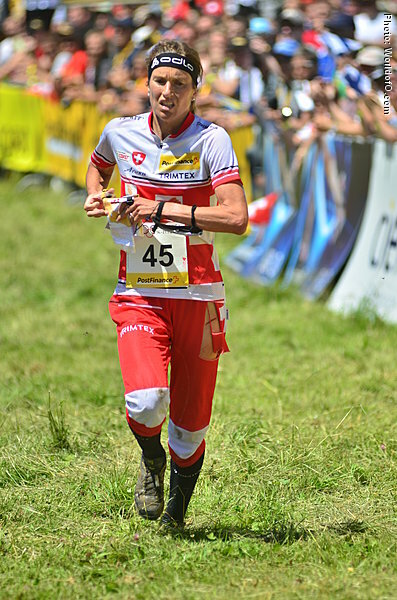 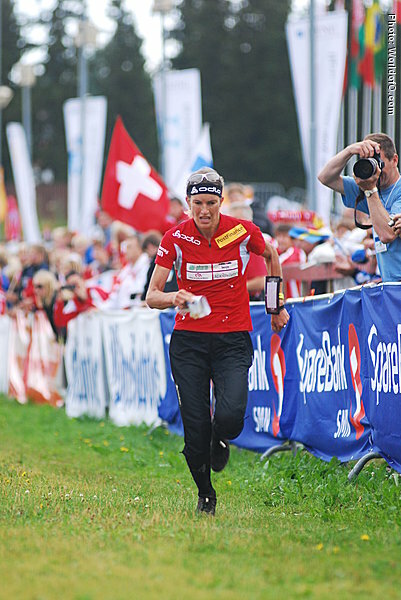 Missed WOC 2011 after childbirth (twins), but was back dominating the championships on home ground in Switzerland in 2012. 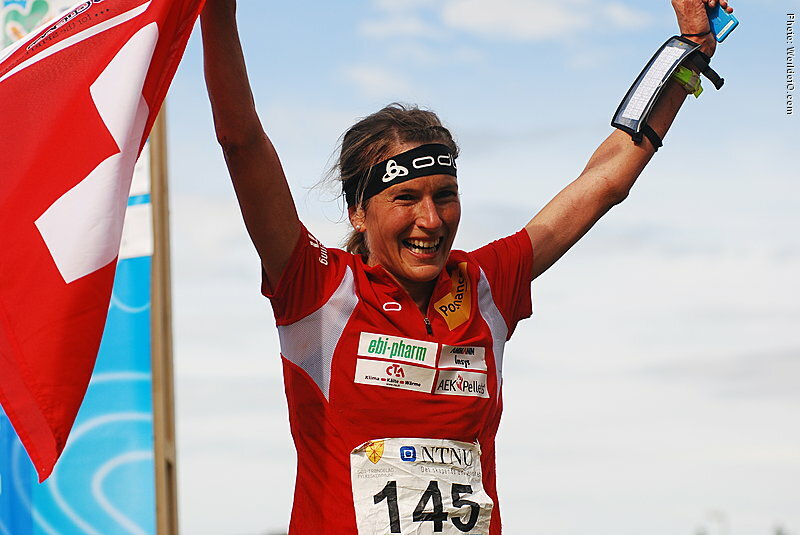 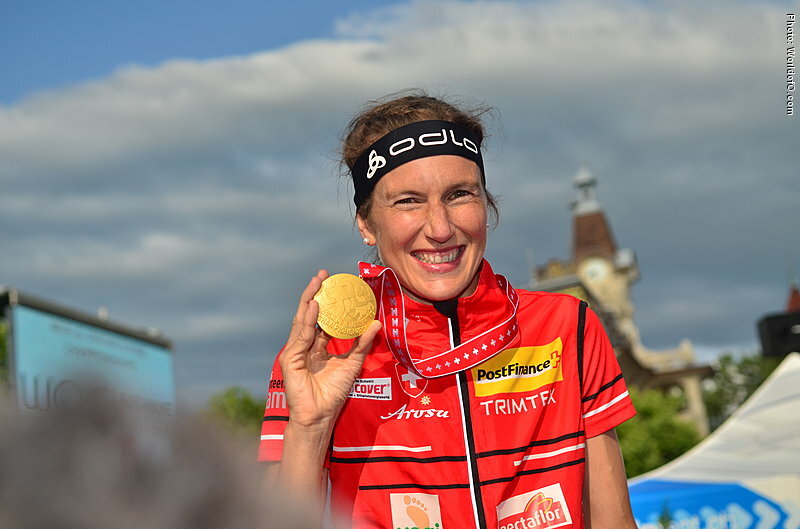 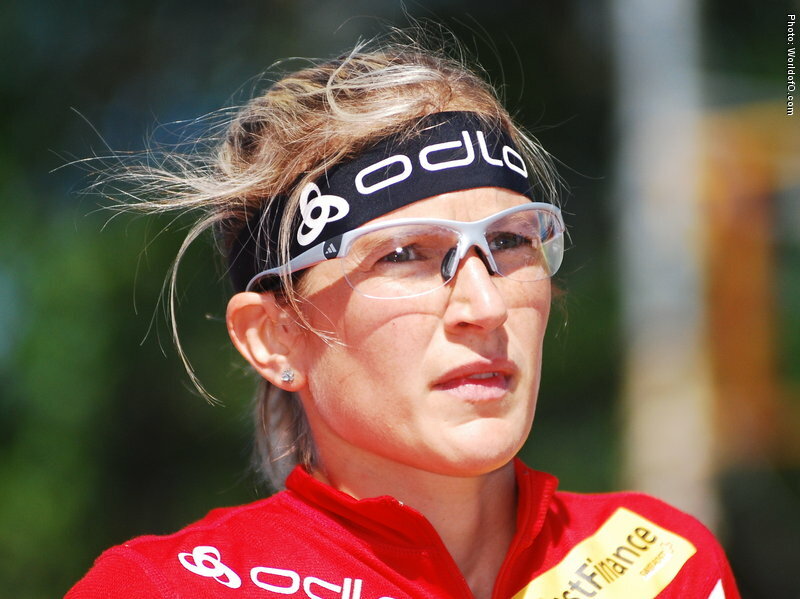 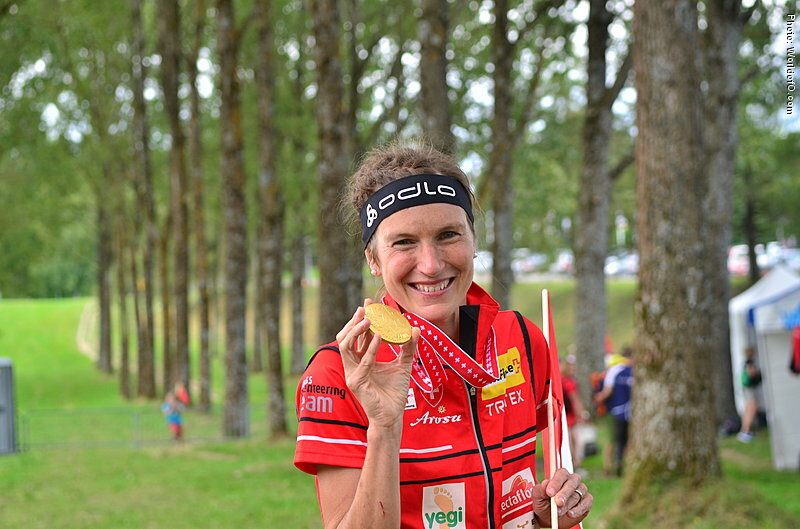 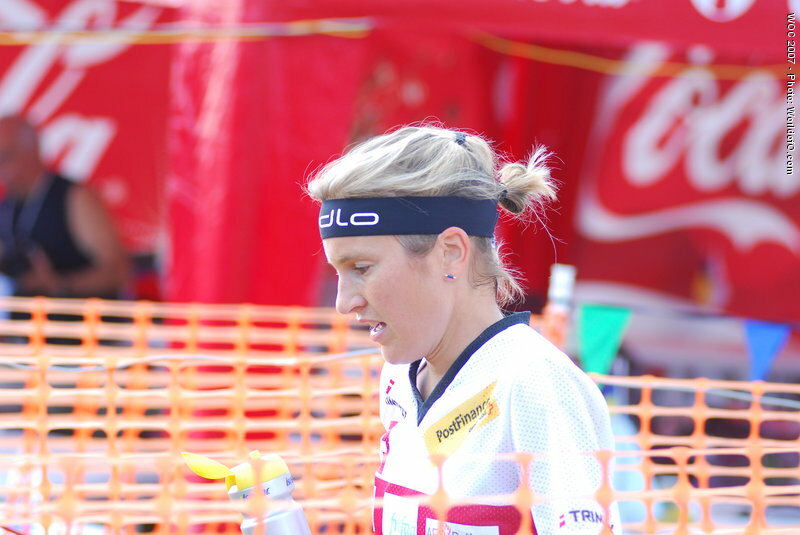 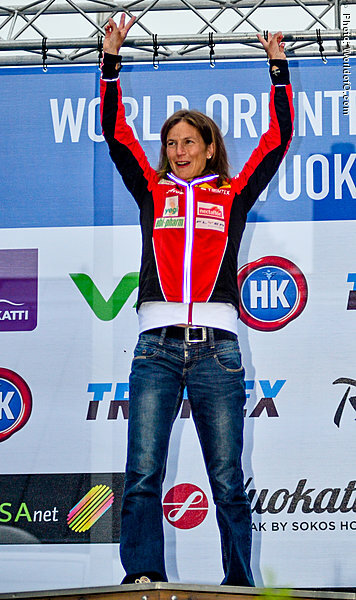 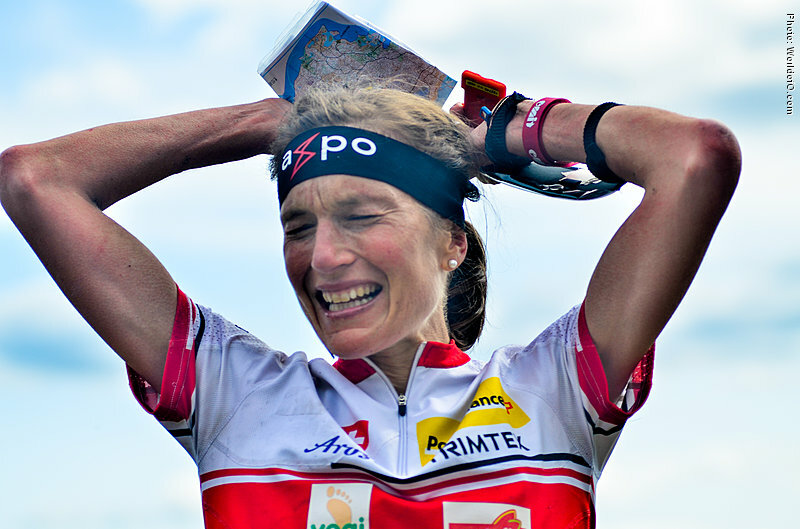 Awarded the Orienteering Achievement of 2009 for a fantastic comeback in 2009 with World Championships Gold medal over the Long distance and overall World Cup victory after giving birth to her child. 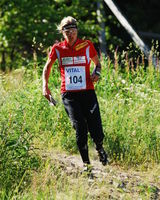 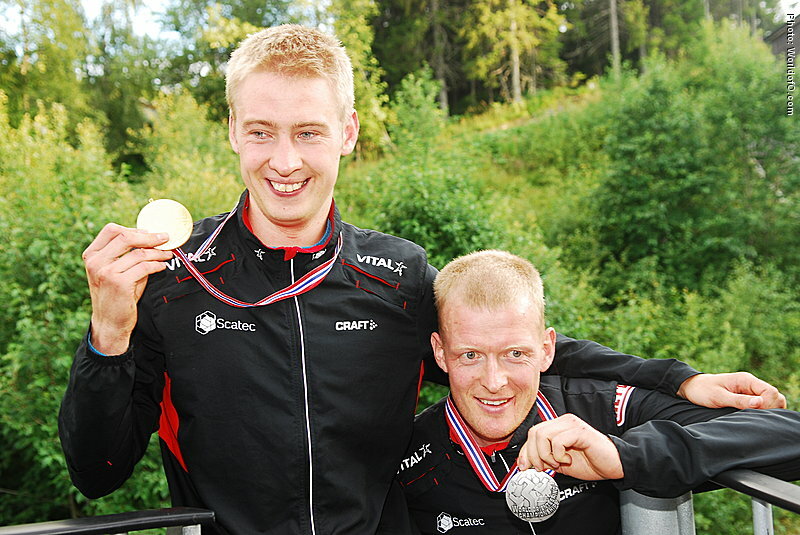 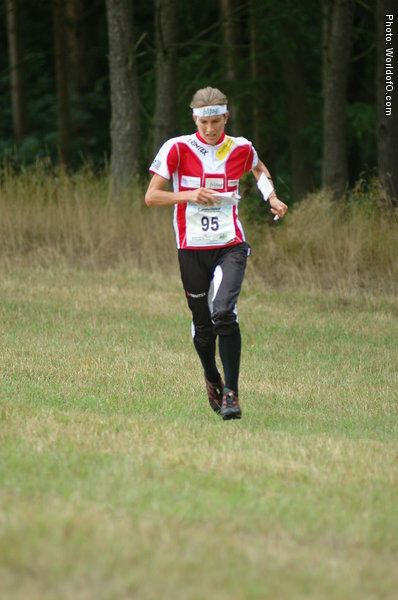 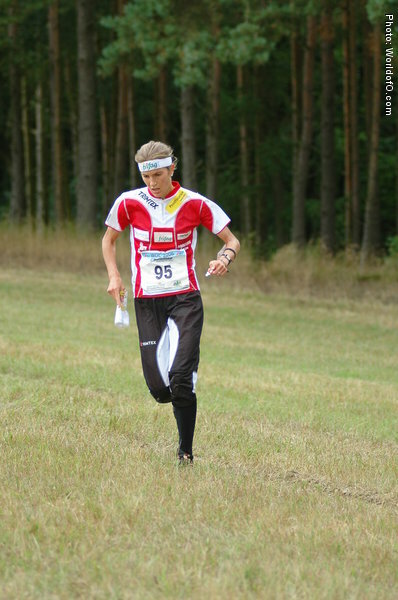 Awarded the Orienteering Achievement of 2006 for WOC gold medals in Long and Middle distances 2006, completing a collection of 12 gold medals from World Championships. 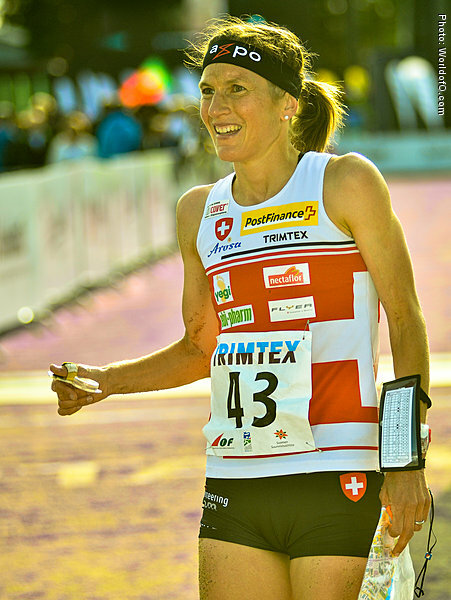 Simone Luer (1 times) Simone Luder (25 times) Simone Niggli-Luder (141 times) Simone Niggli (188 times) .